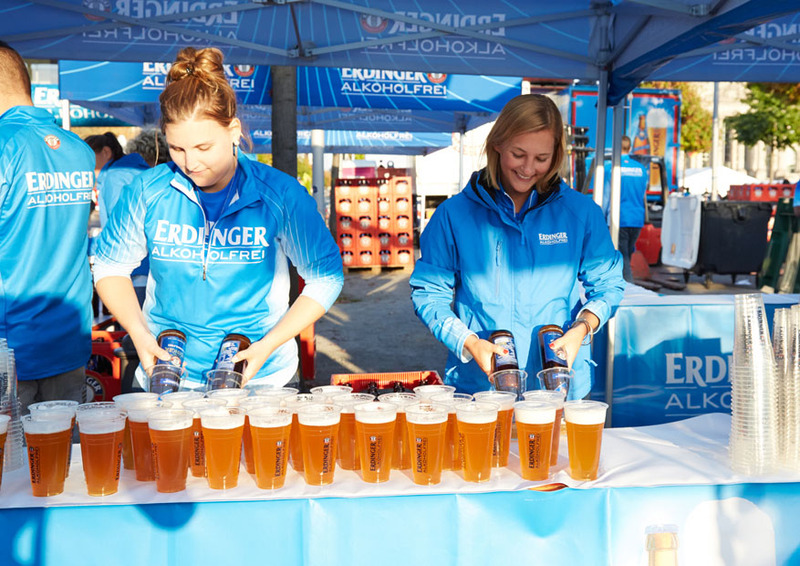 The ERDINGER Alkoholfrei Active Tour is a true success story: with over 400 endurance sports events in Germany, Austria, Switzerland, England, the USA (California) and many other countries, our isotonic thirst-quencher has been refreshing hundreds of thousands of runners, triathletes and cyclists at the finishing line every year for more than a decade – ensuring perfect regeneration for heroes! 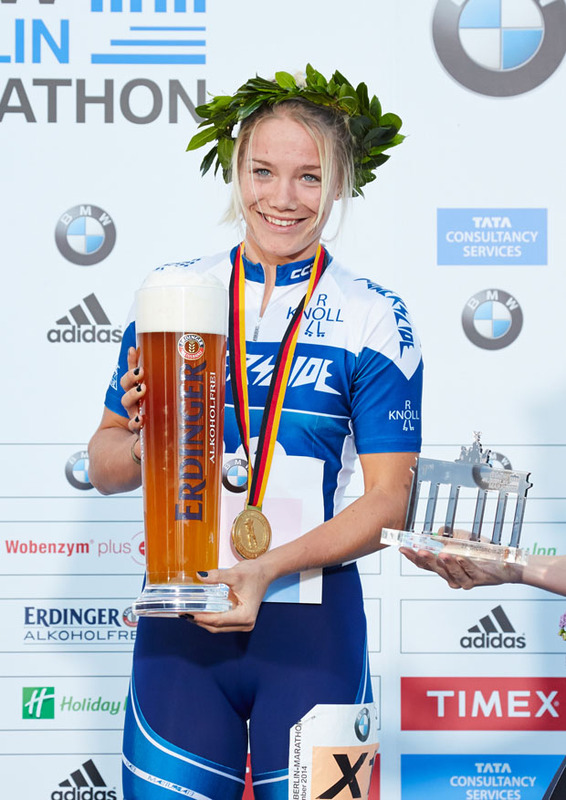 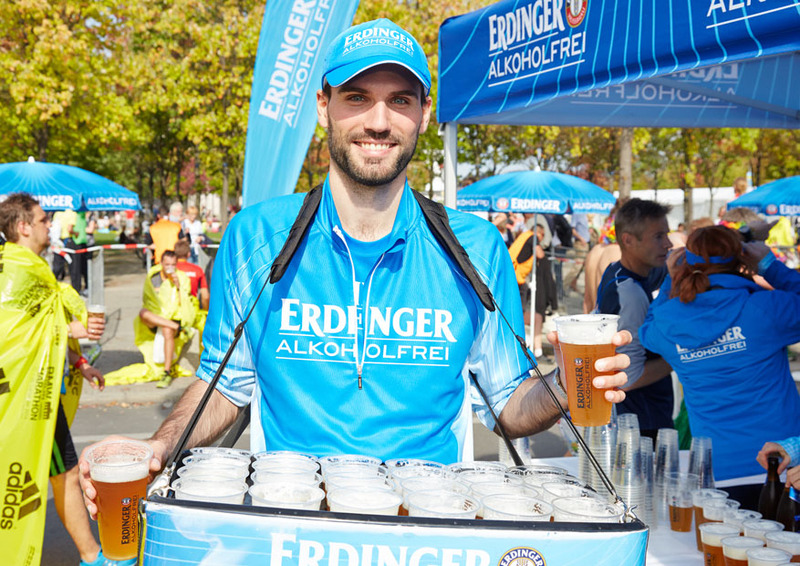 As a sports beverage, ERDINGER Alkoholfrei is now just as much a part of endurance sport as regular training. 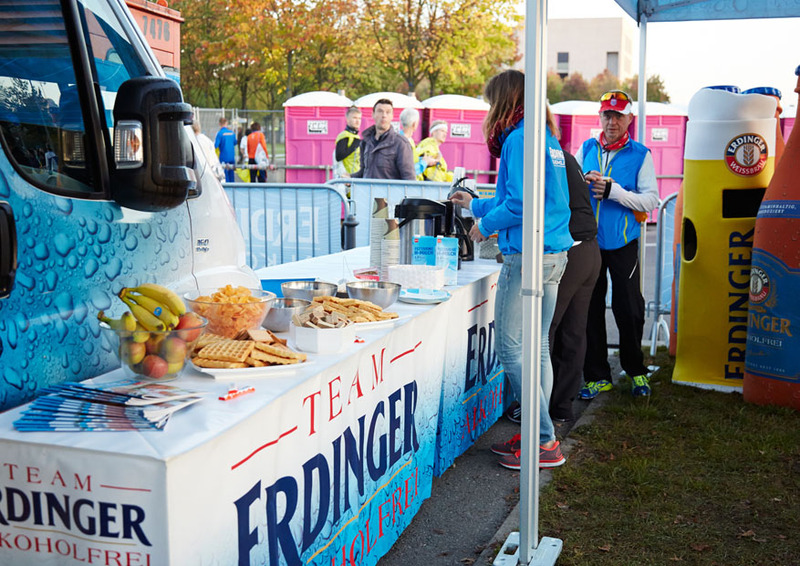 It all started on a small scale: with a car and a small refrigerated trailer setting off from Erding to refresh athletes at small running and triathlon events. 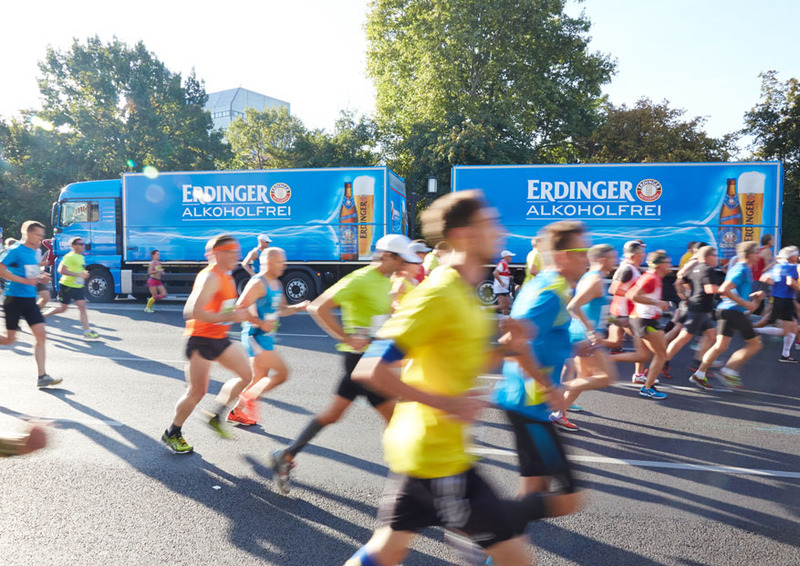 Today, modern logistics ensure a smooth operation: with over 400 events a year, up to ten teams are on the road simultaneously at weekends. 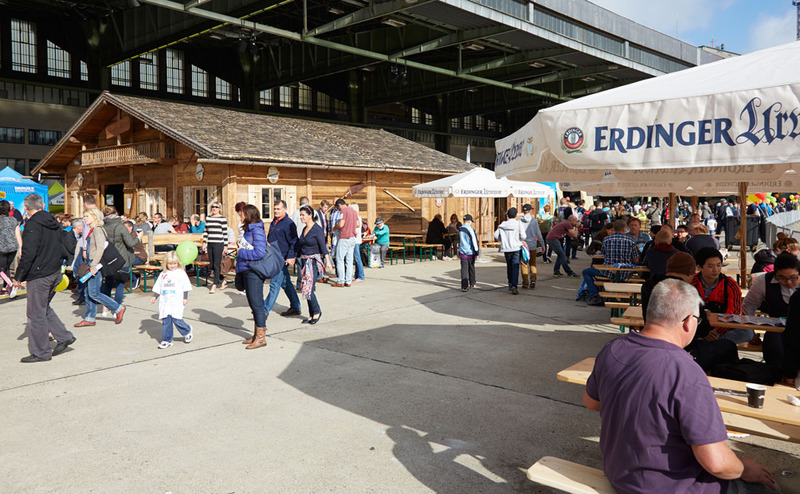 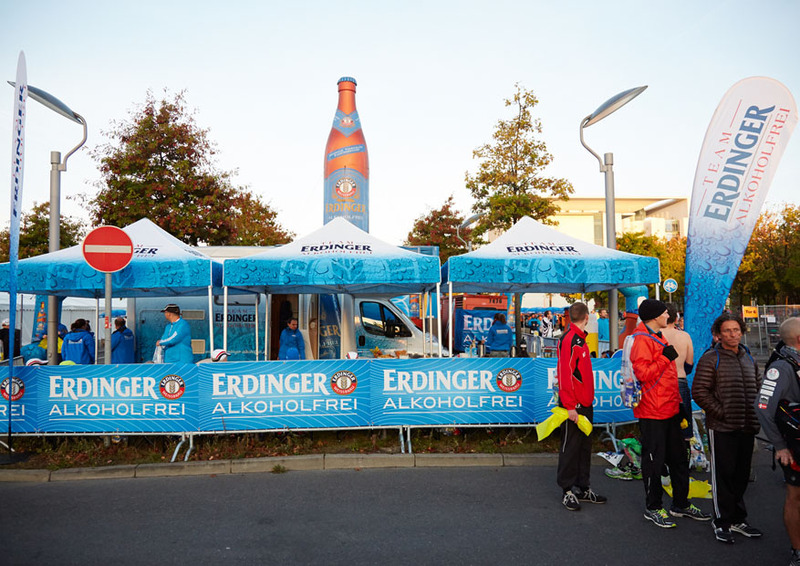 However, many smaller events are still supplied by the ERDINGER Alkoholfrei vans and refrigerated trailers. 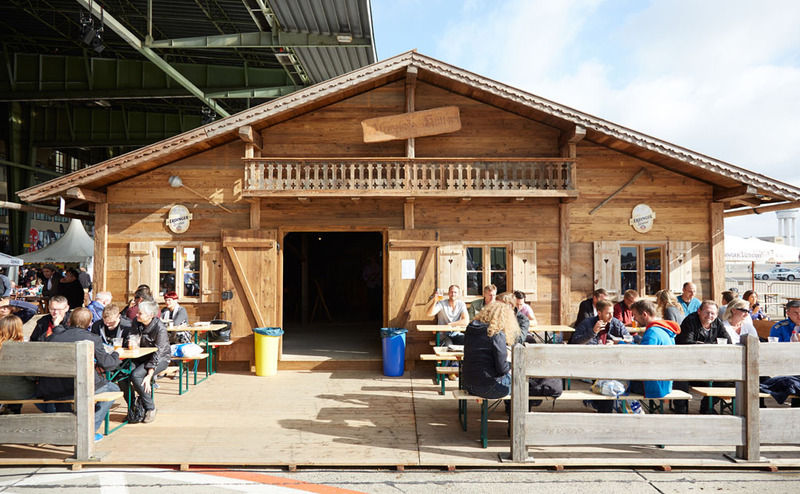 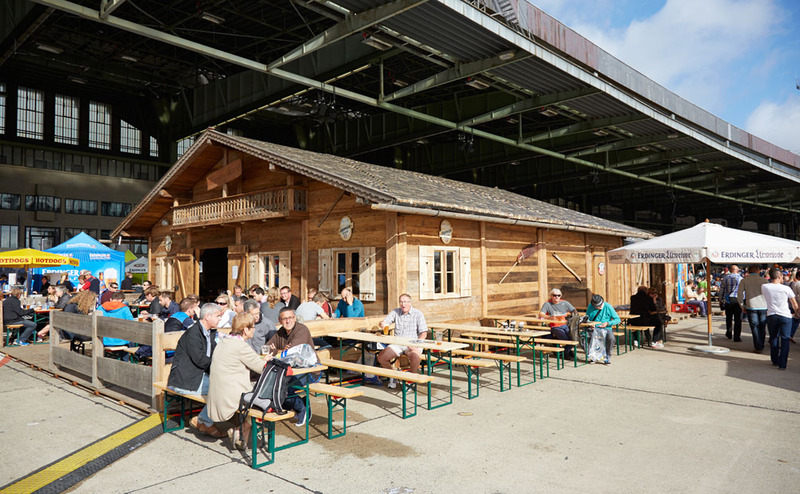 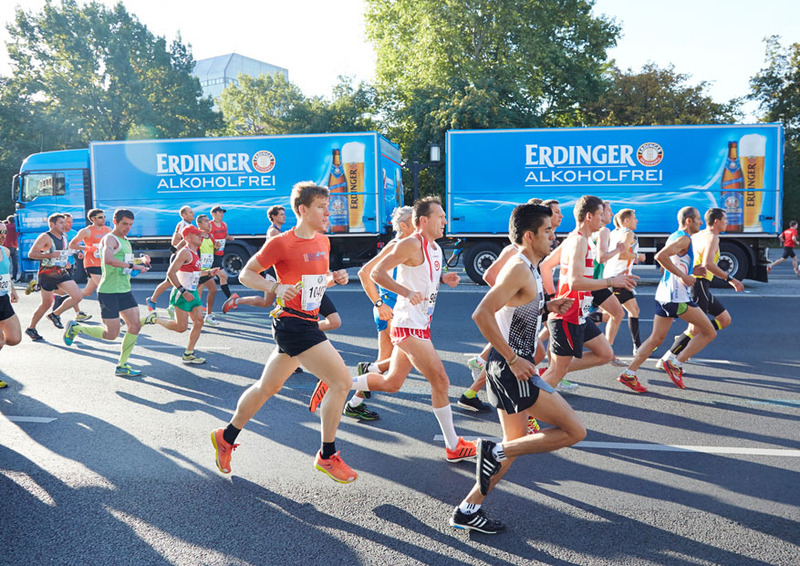 Trucks are now used though for major running events to supply the venue with the precious well-chilled refreshment from Erding. 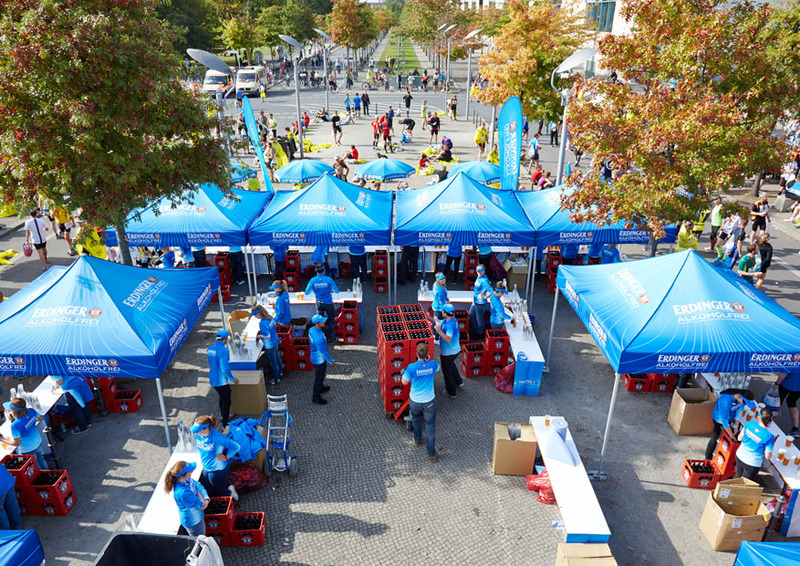 The finishing area of the venue is prepared on the day before the race: large inflatables and archways show athletes the way – the blue tents and umbrellas are always clearly visible from afar. 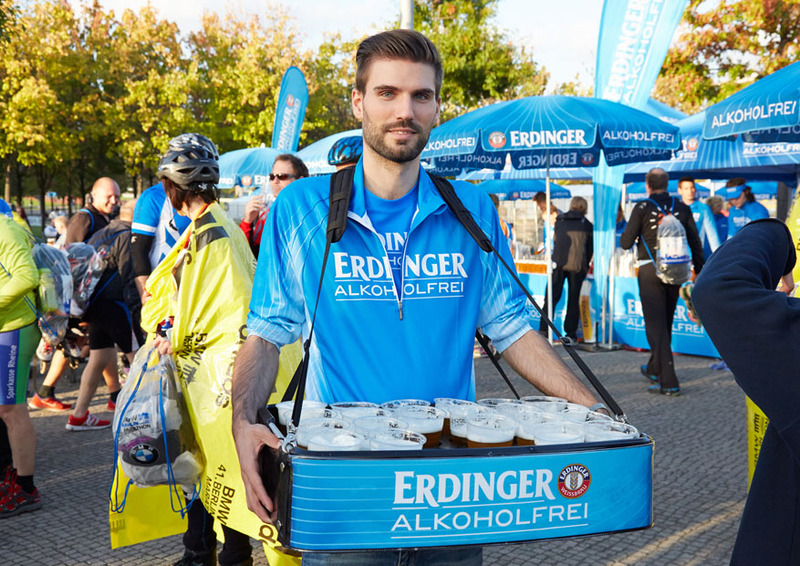 On the event day itself, the most important staff come into their own: promoters welcome the thirsty finishers with a smile and an irresistibly refreshing ERDINGER Alkoholfrei. 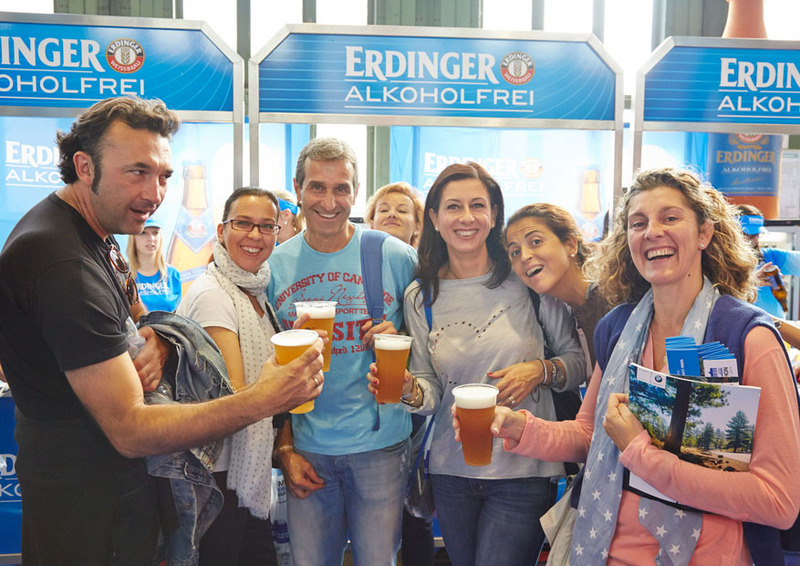 This is how people have come to identify ERDINGER Alkoholfrei: pure refreshment, a fantastic thirst-quencher, and regenerative enjoyment! 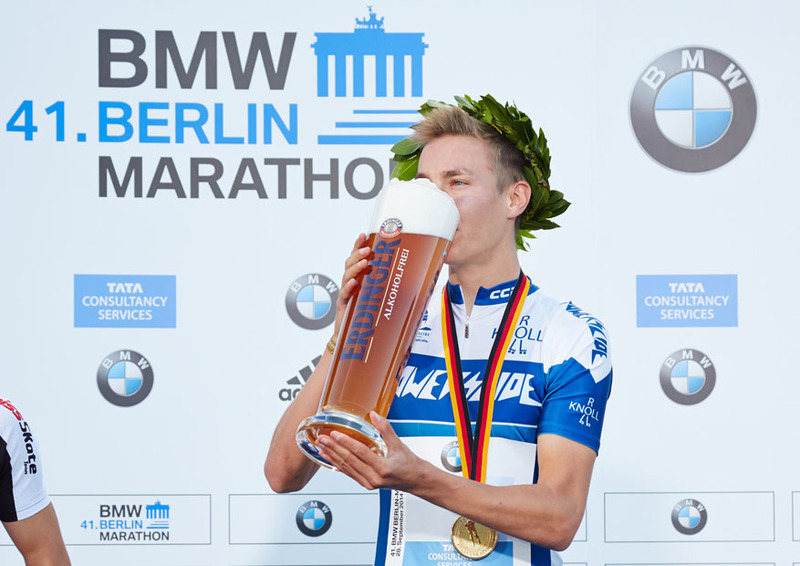 More than one million athletes a year are rewarded this way at the finishing line of countless events. 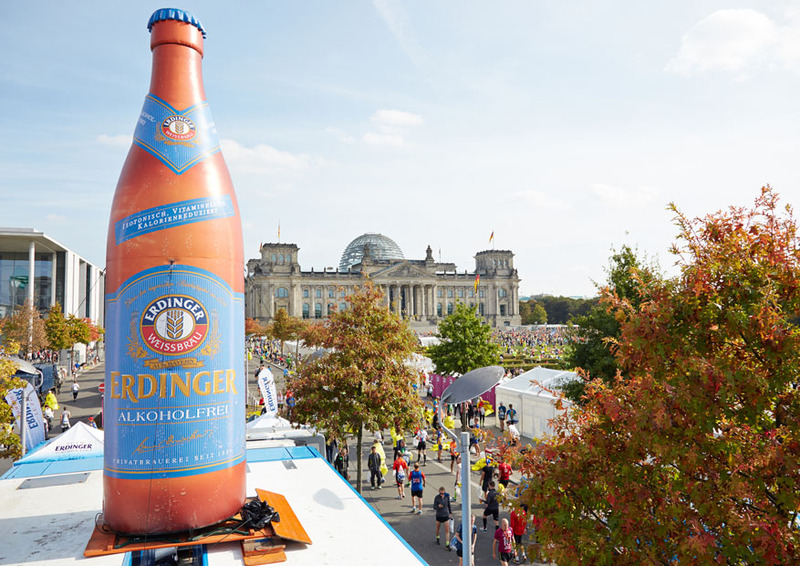 ERDINGER Alkoholfrei is currently a partner of Germany’s biggest running, cycling and triathlon events: these include the BMW BERLIN MARATHON, the Vattenfall BERLIN HALF MARATHON, the B2Run company runs, the city running series of SportScheck and BMW, the ITU World Triathlon Hamburg as well as the cycling classic Vattenfall Cyclassics Hamburg and Garmin Velothon Berlin. 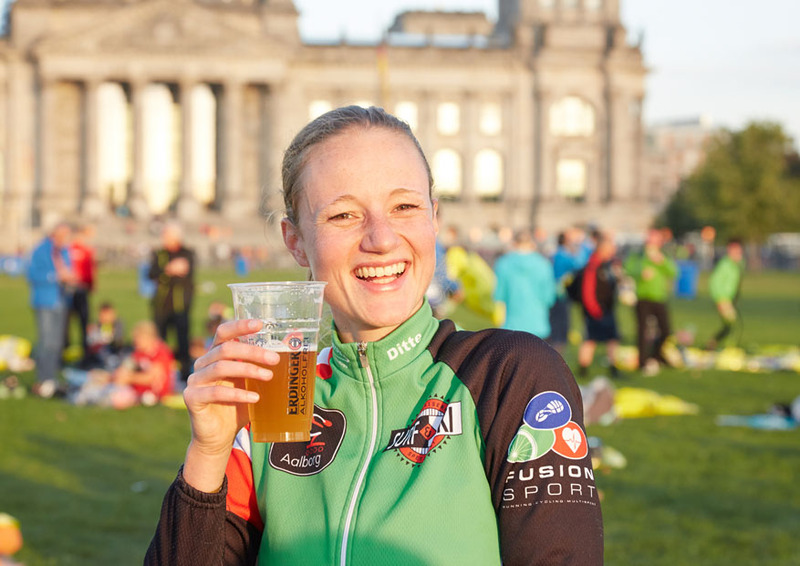 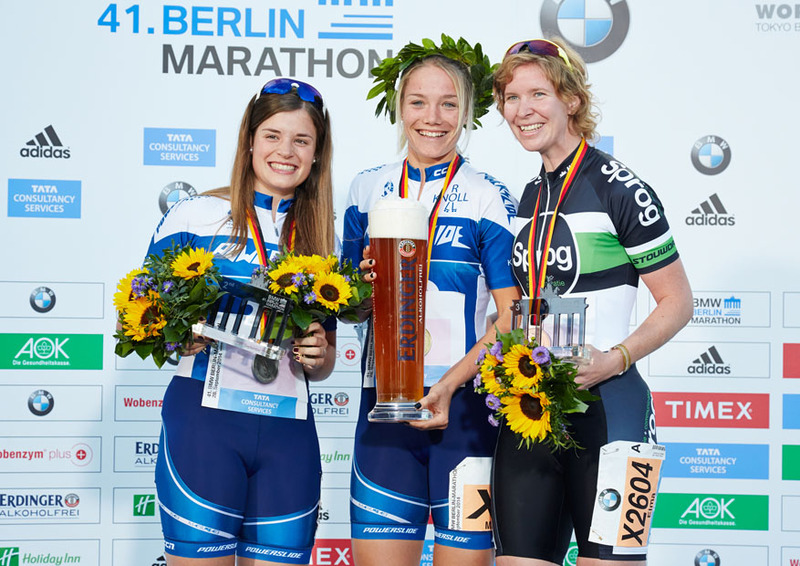 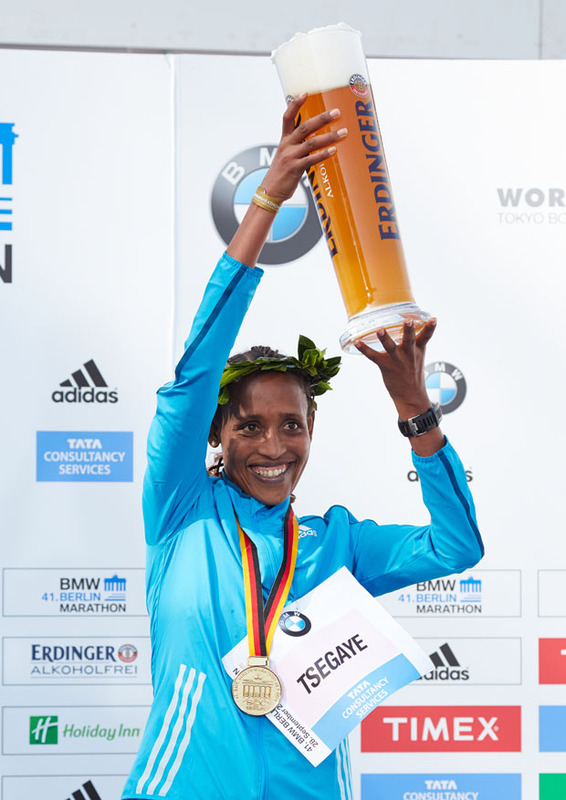 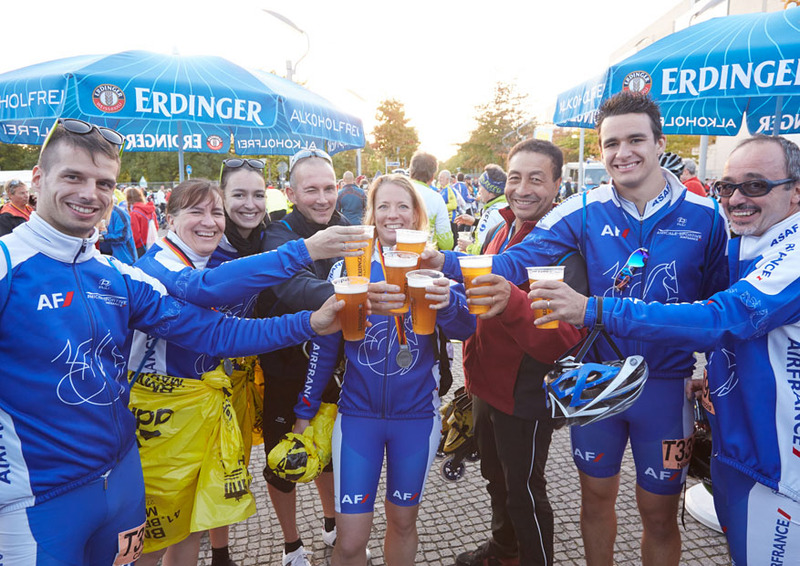 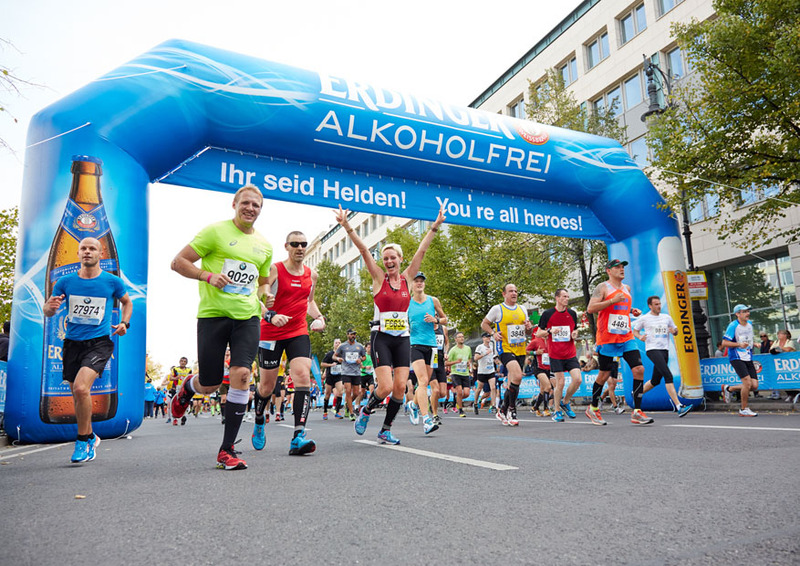 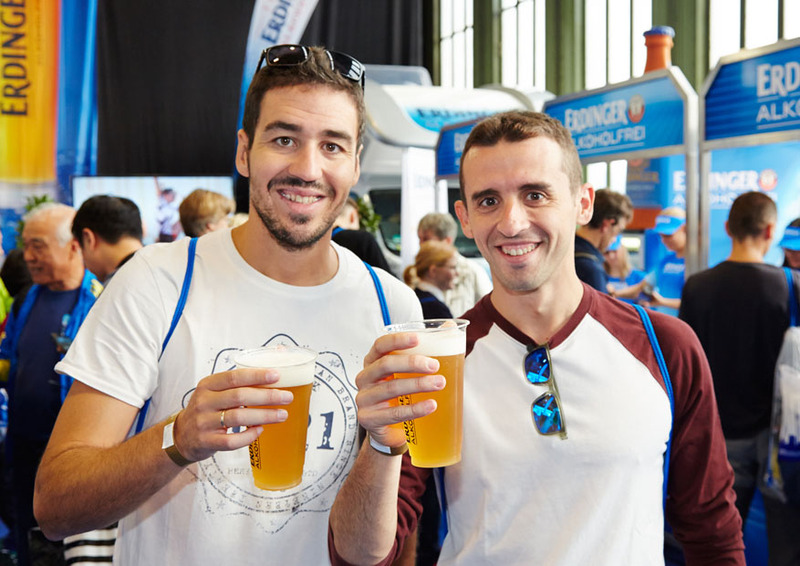 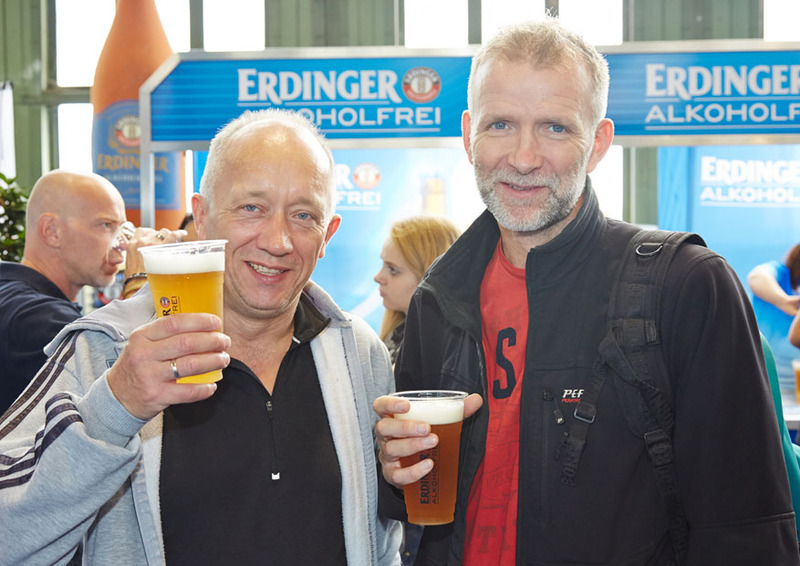 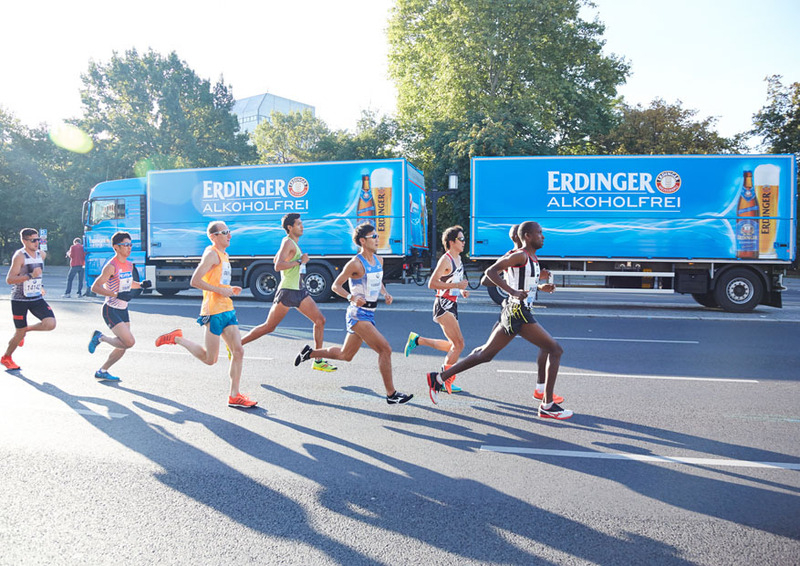 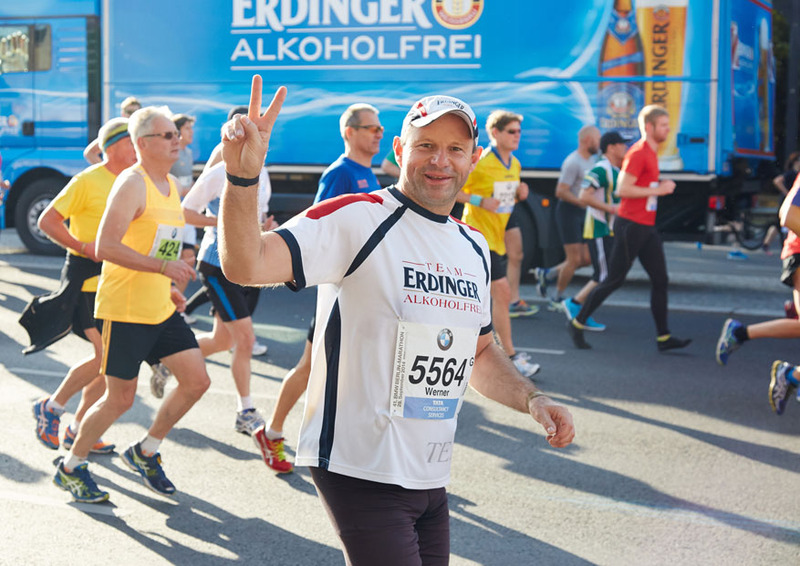 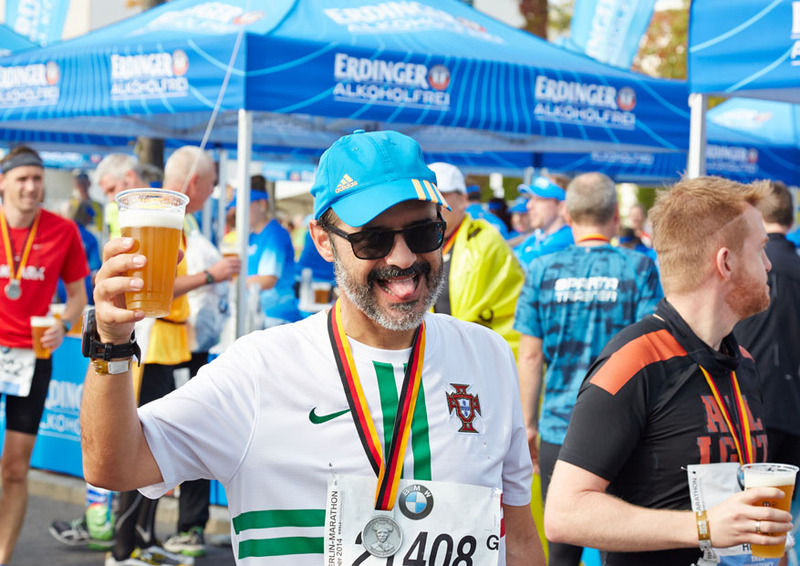 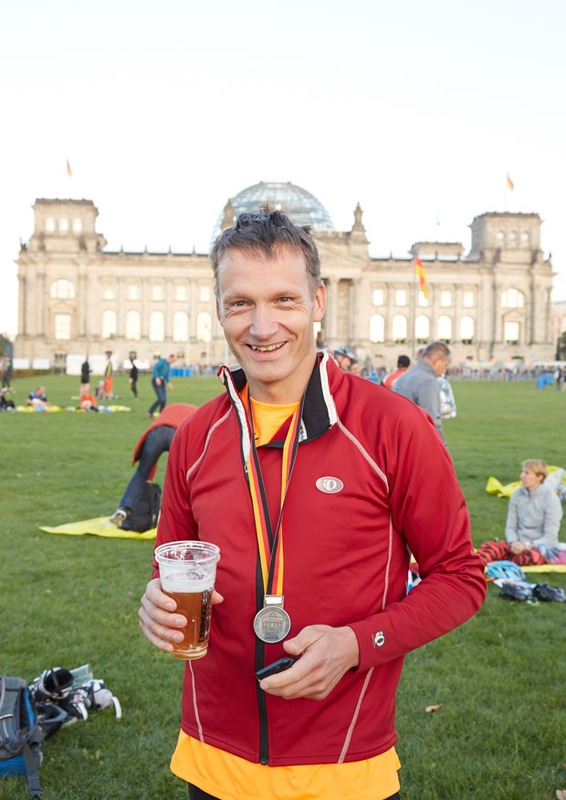 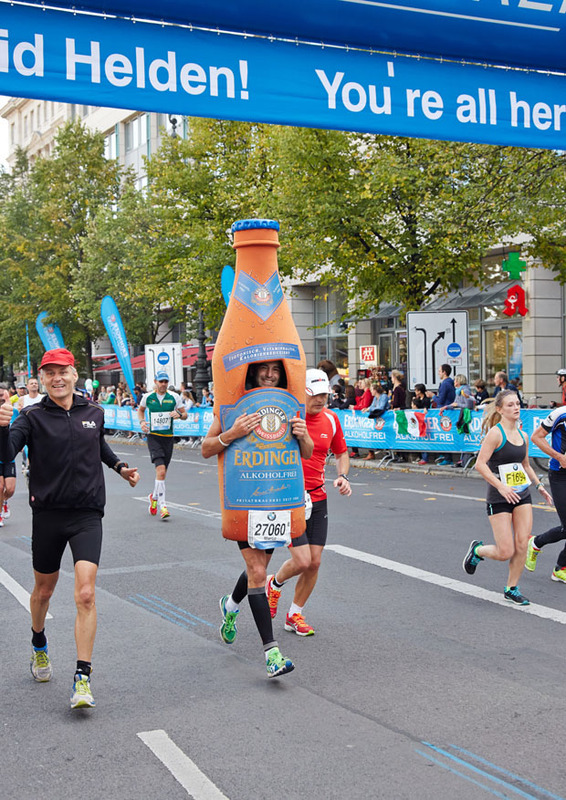 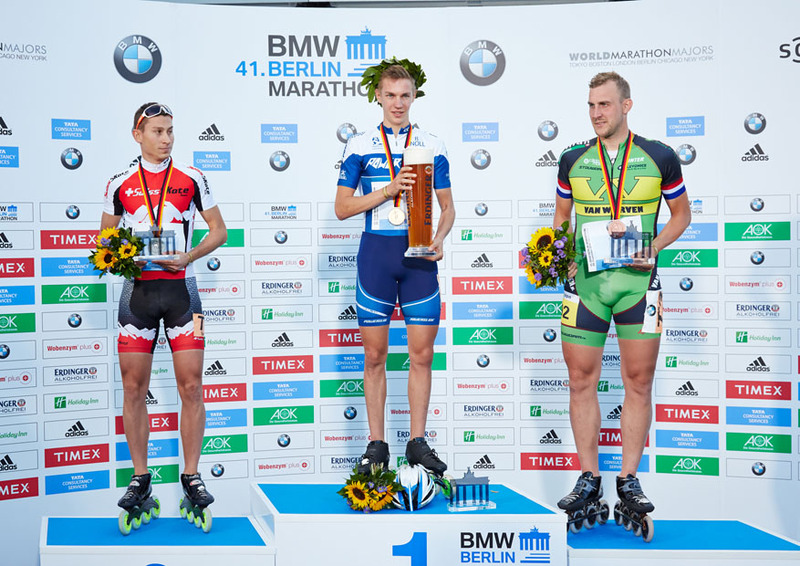 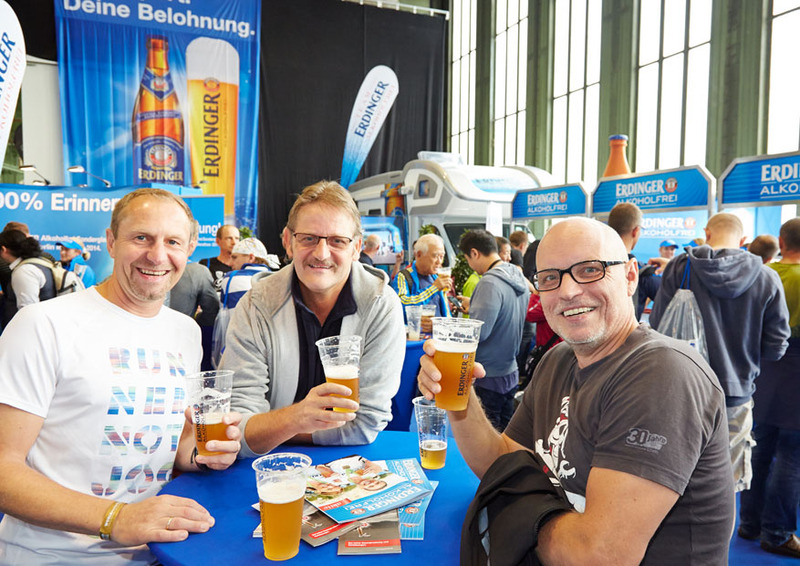 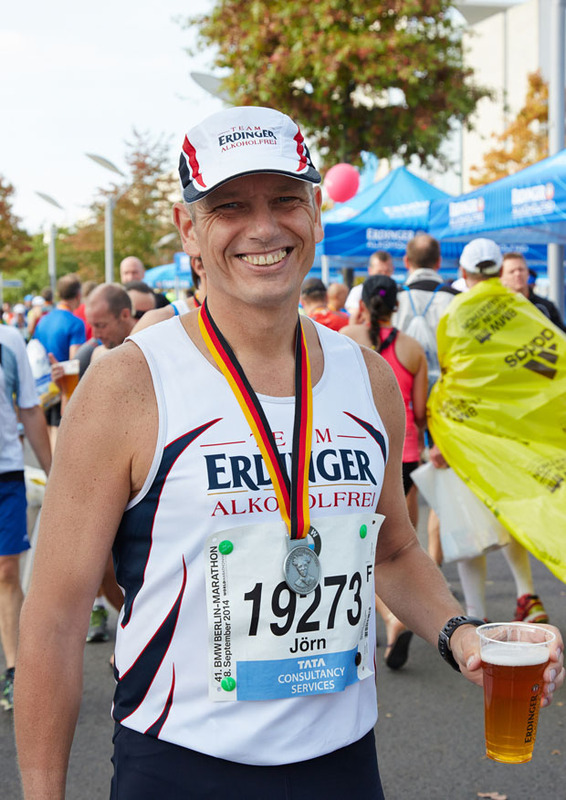 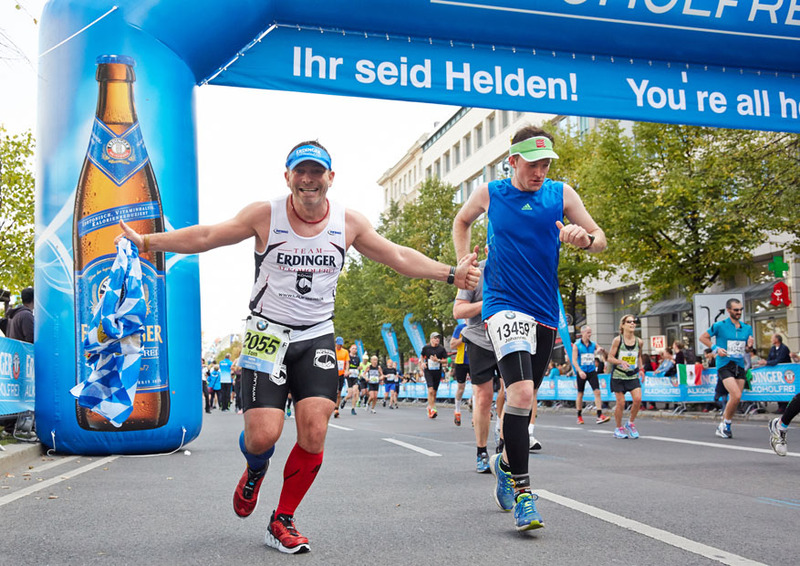 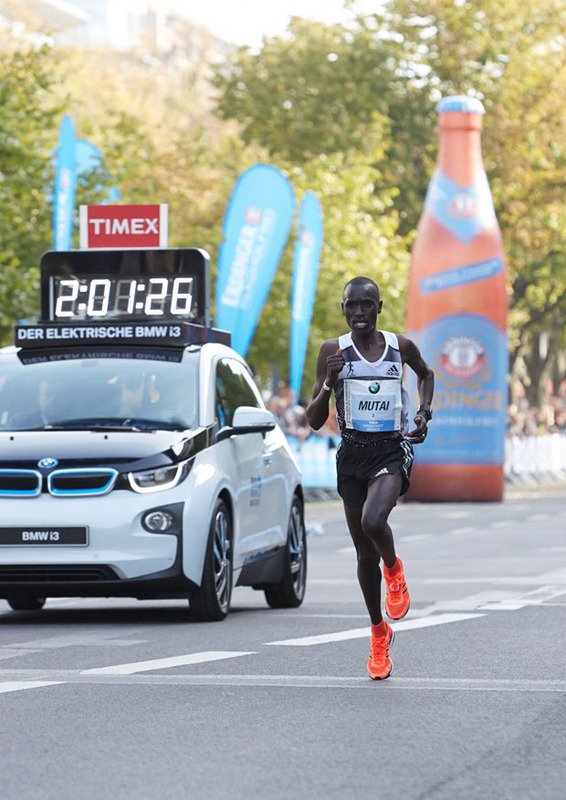 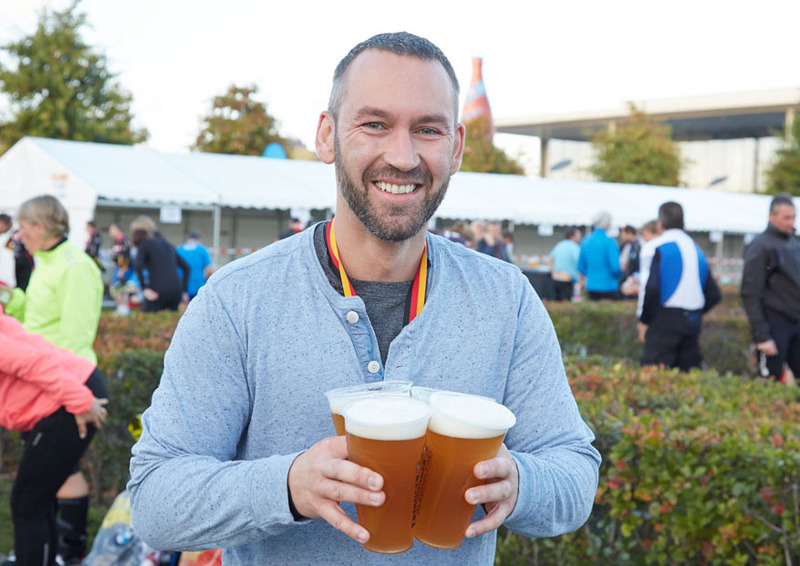 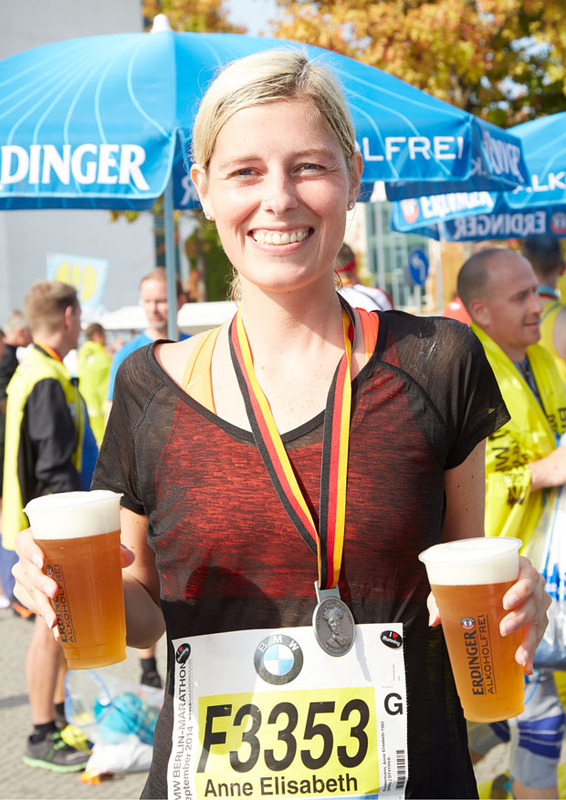 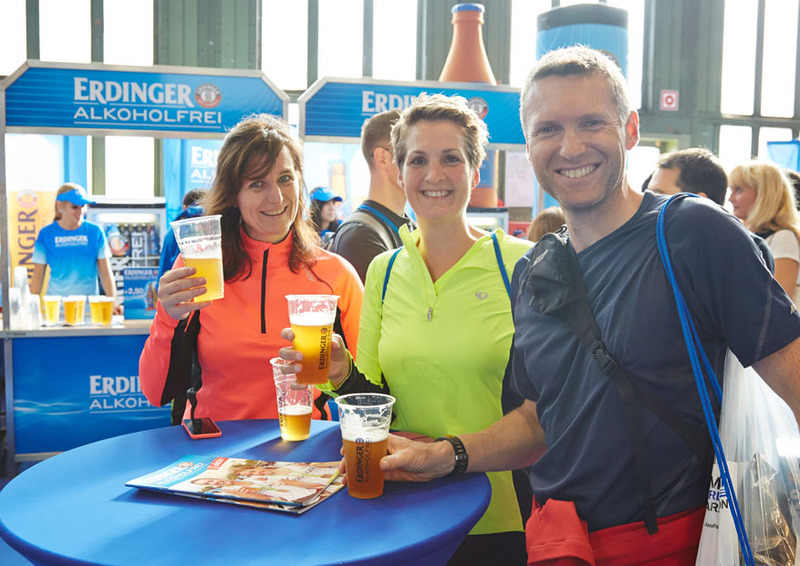 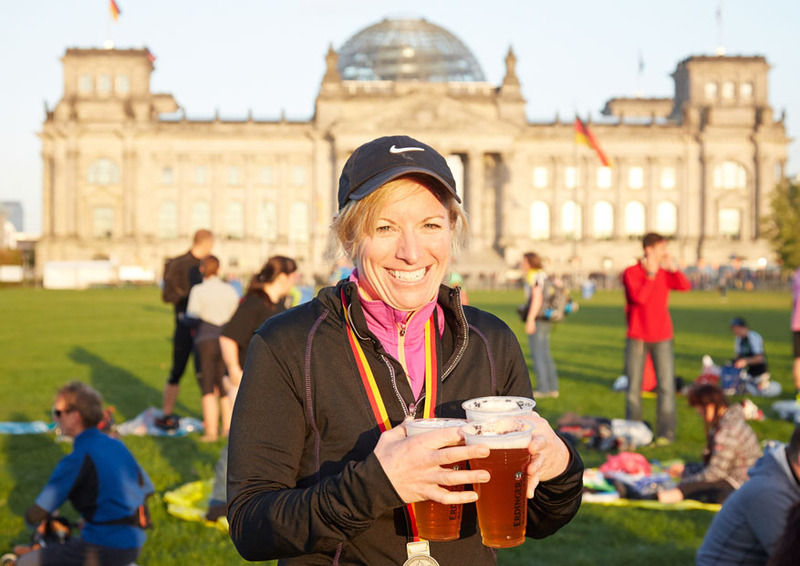 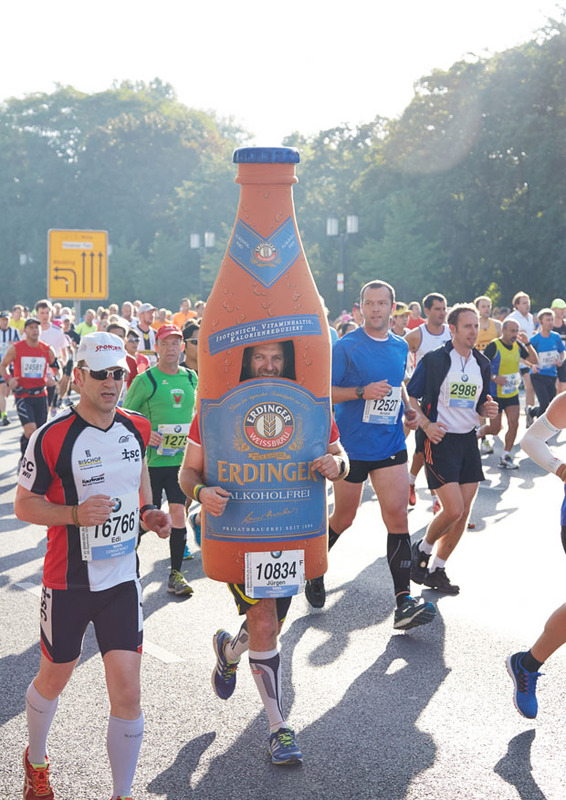 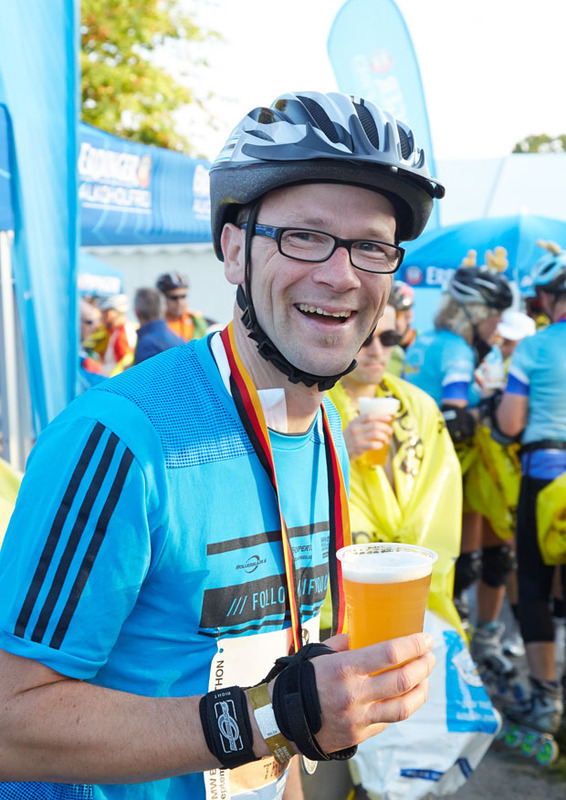 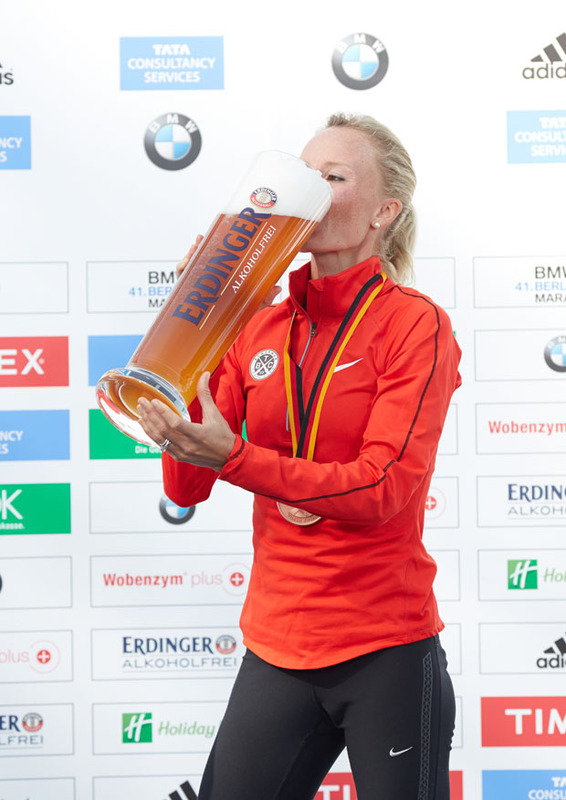 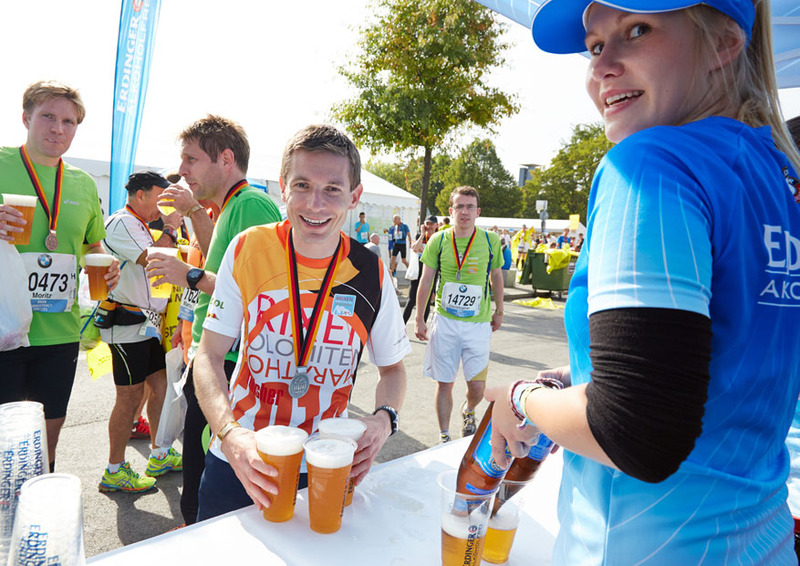 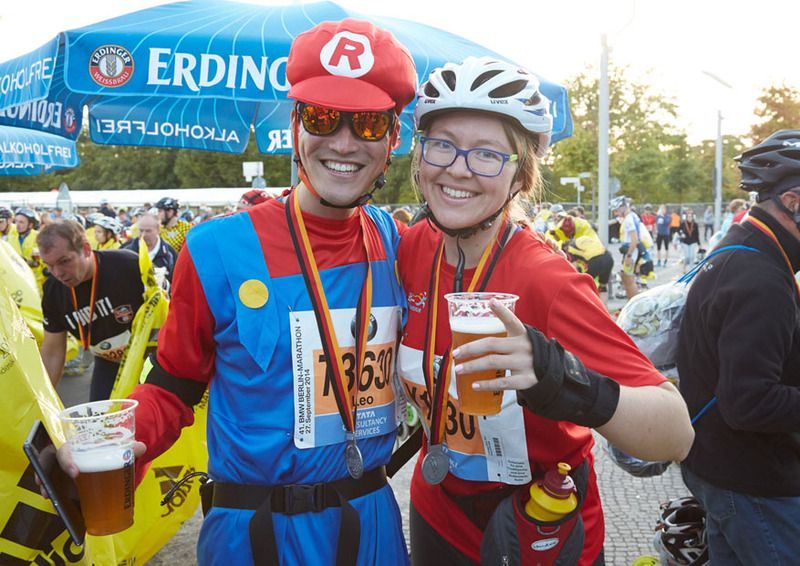 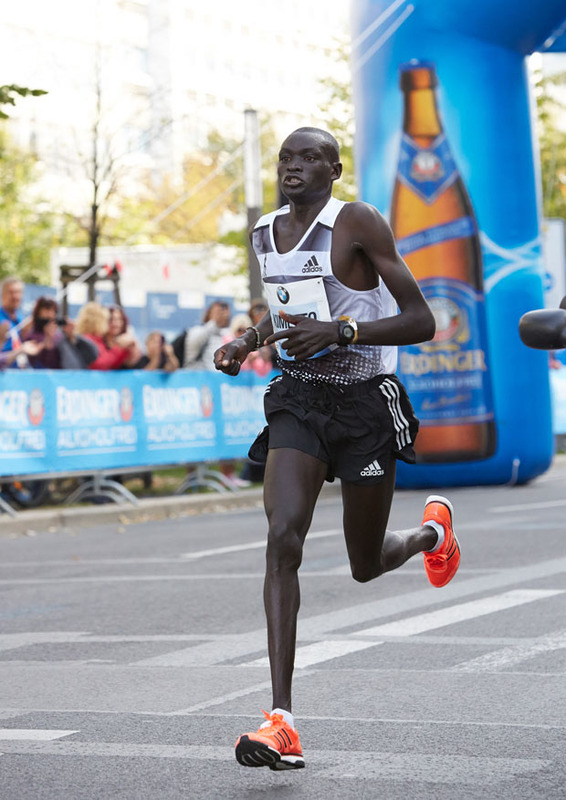 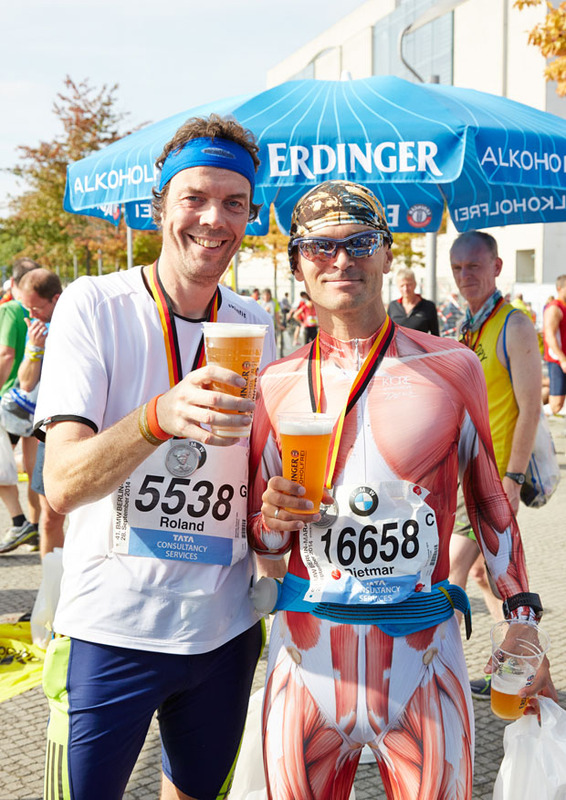 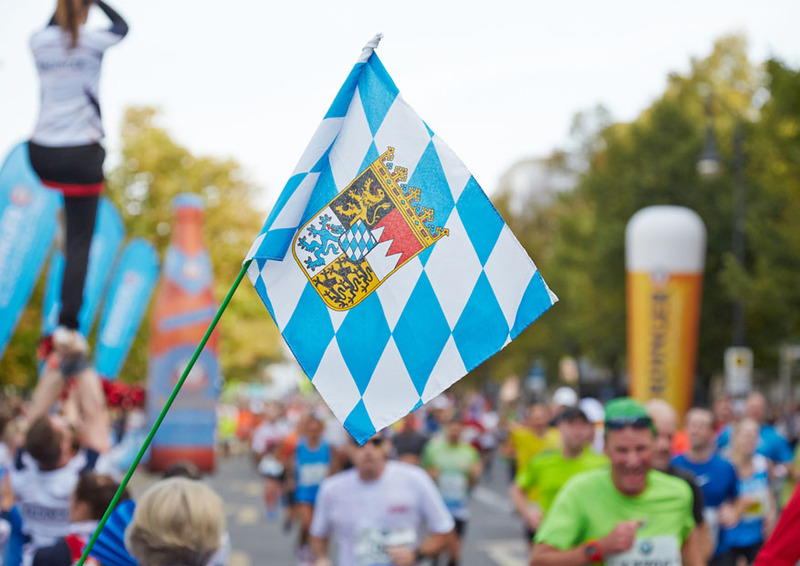 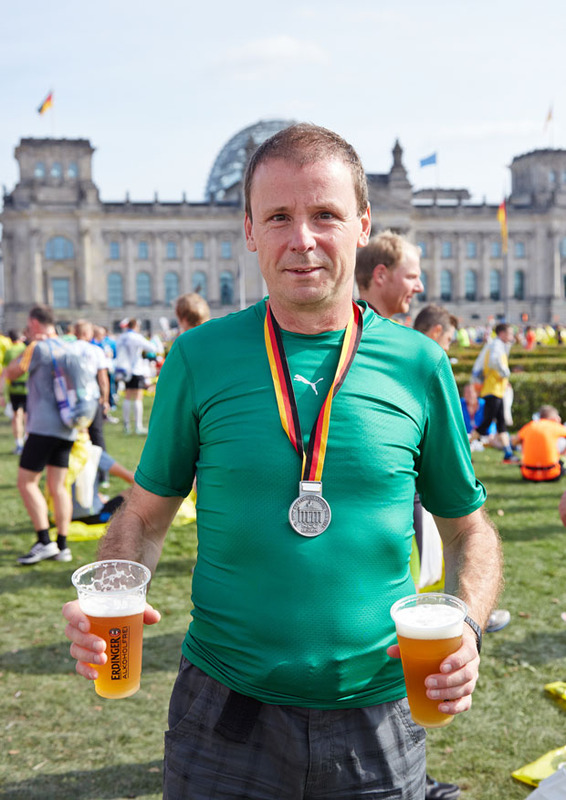 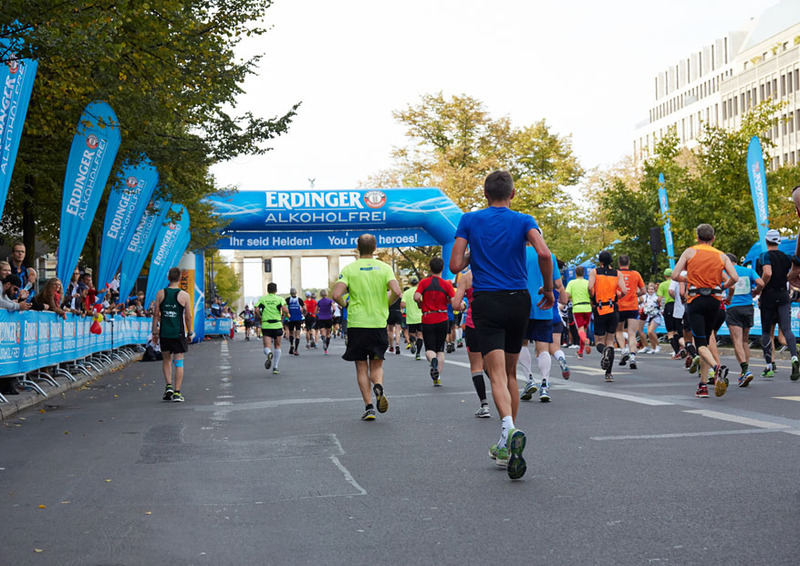 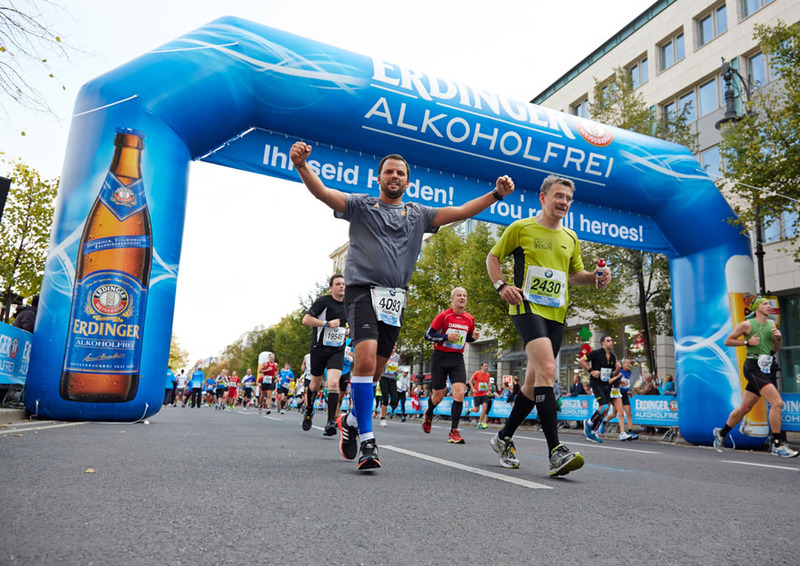 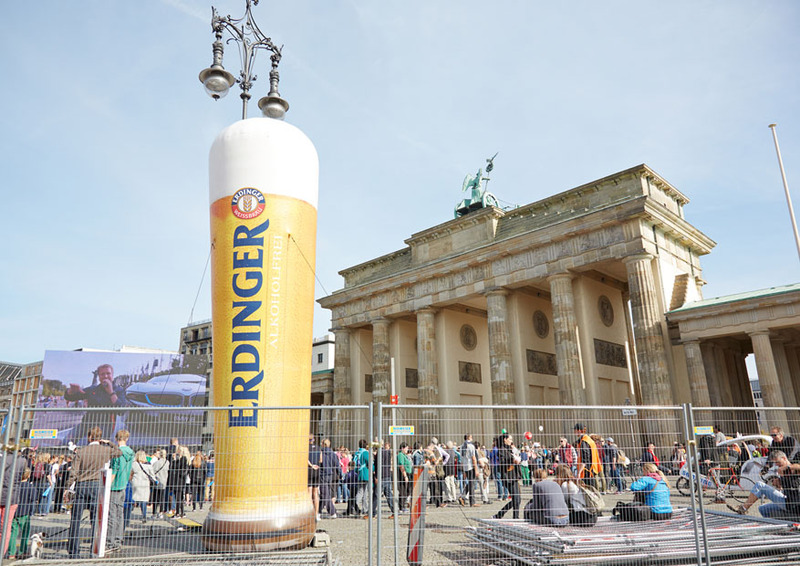 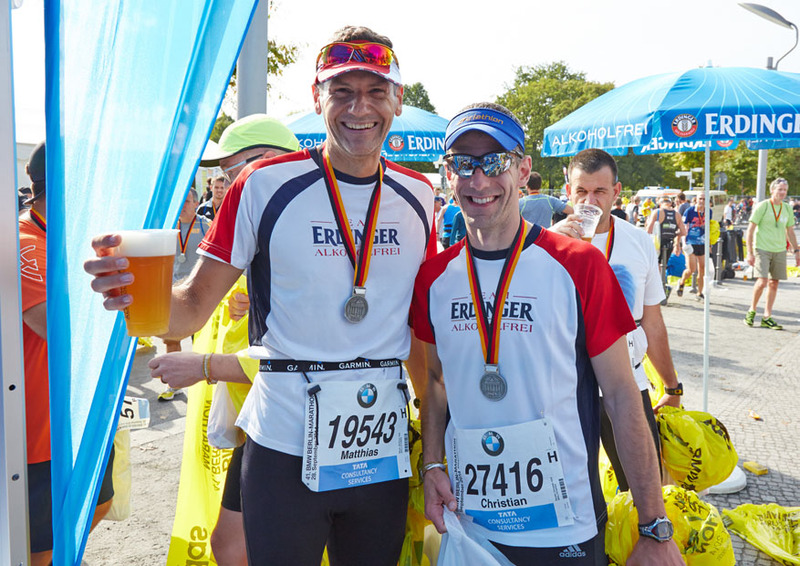 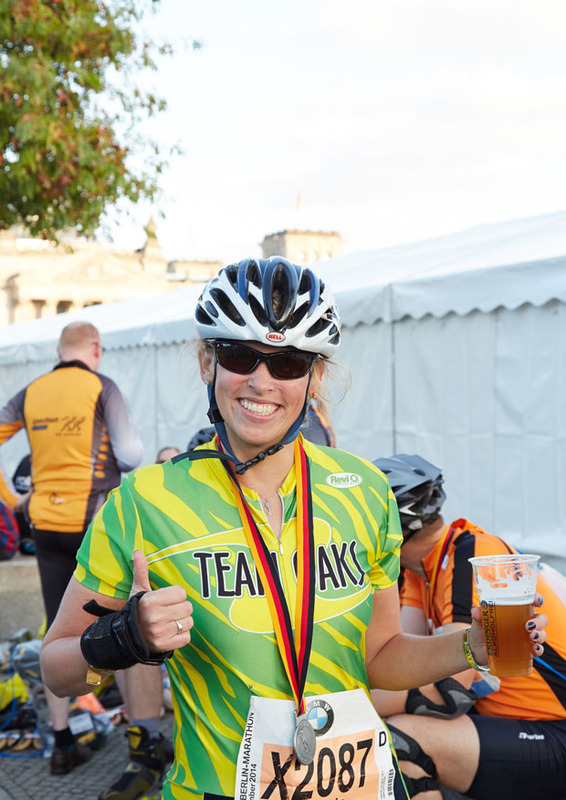 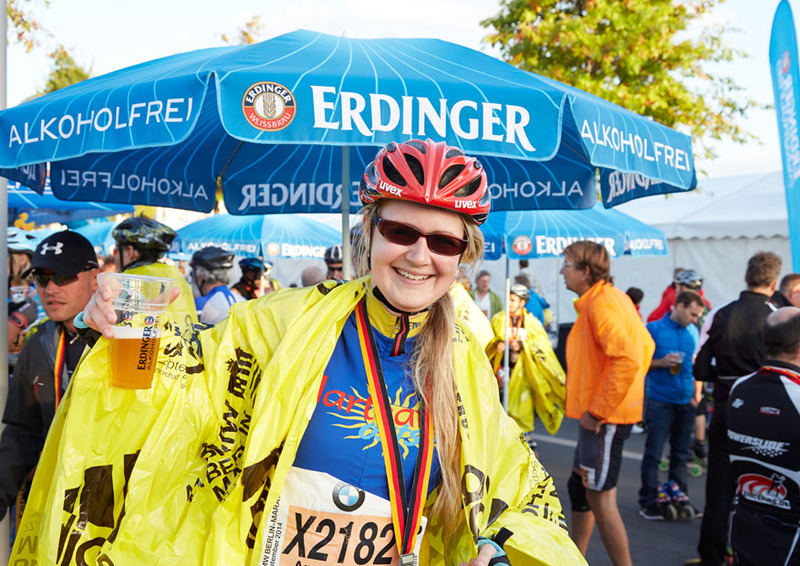 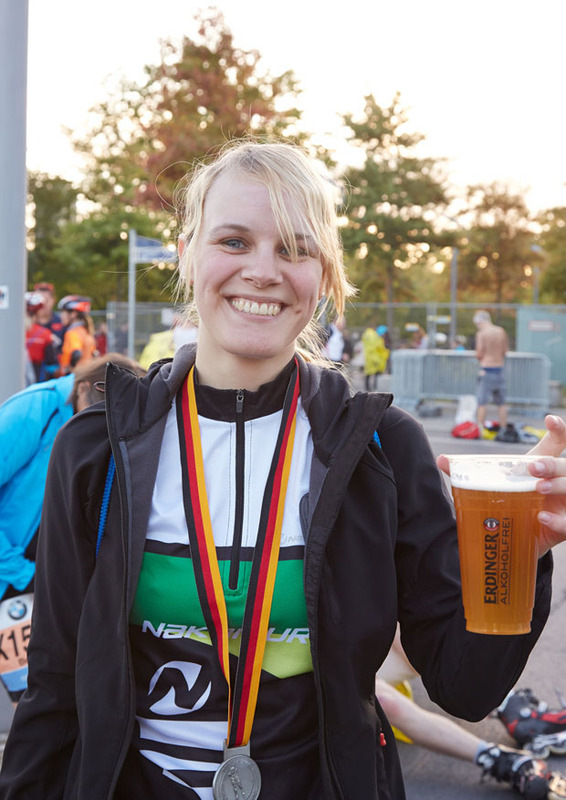 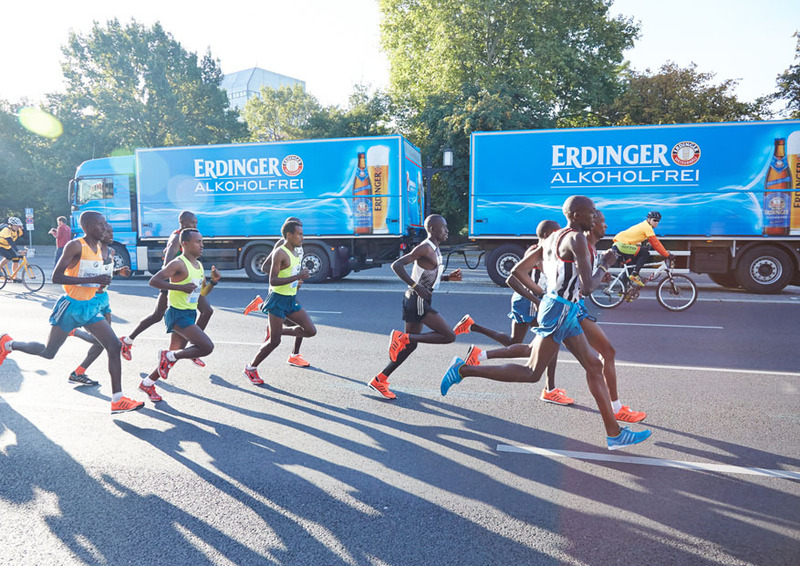 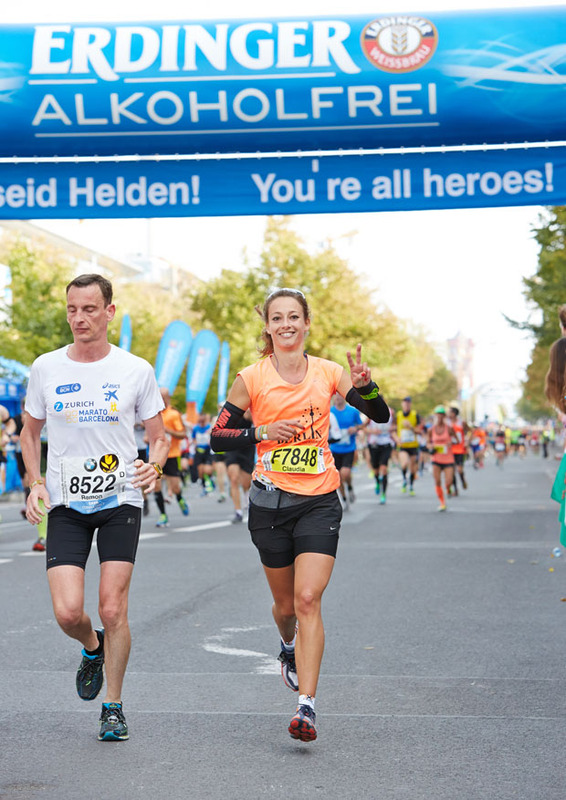 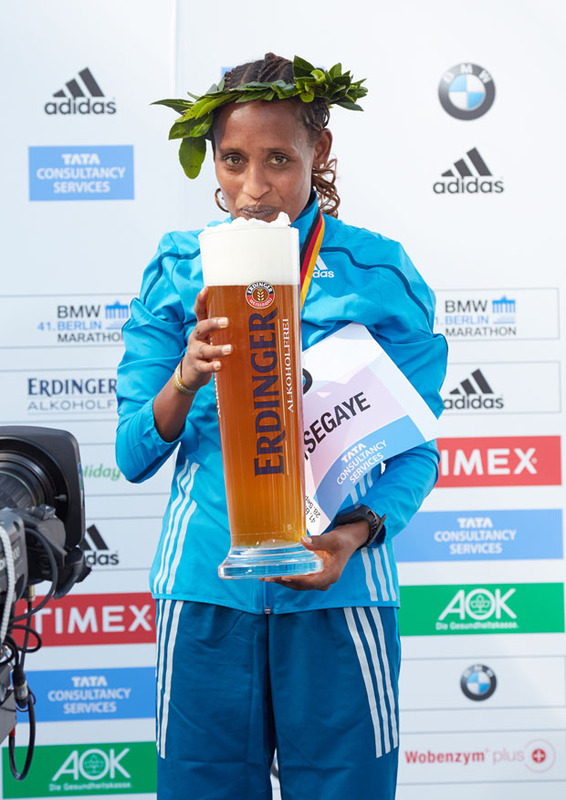 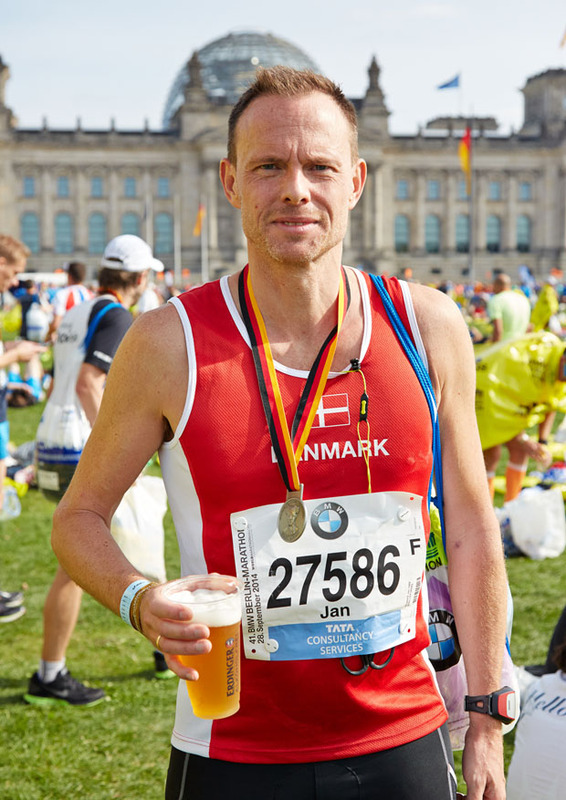 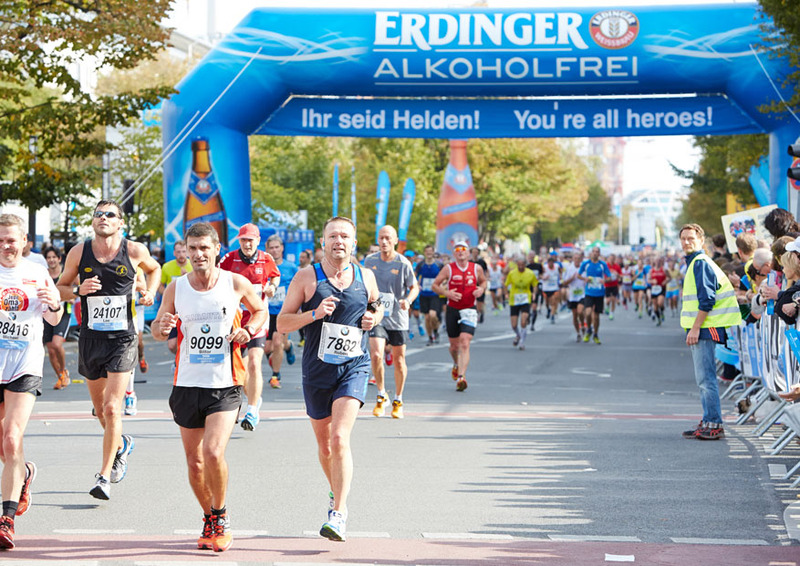 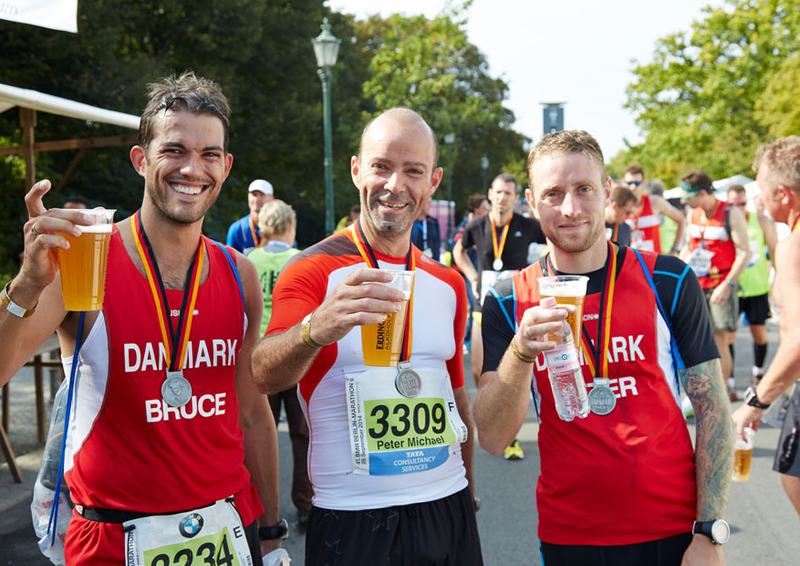 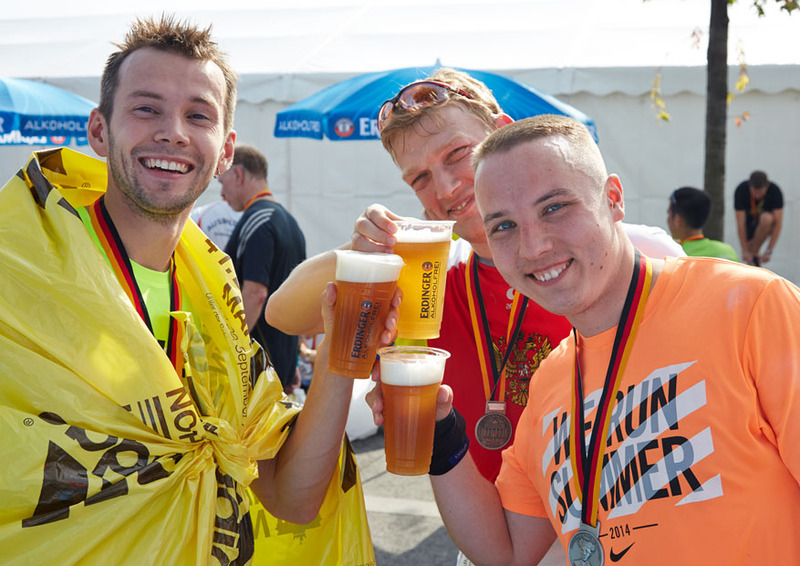 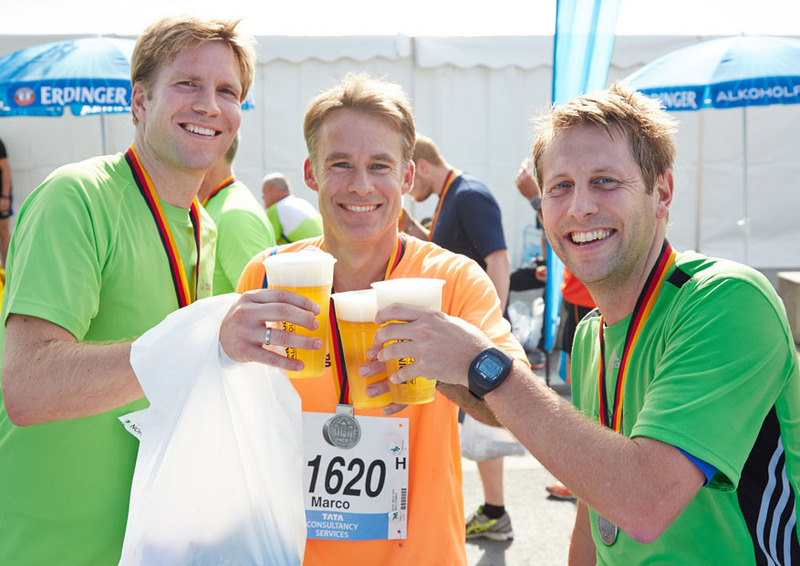 Also outside Germany, more and more event organizers are choosing ERDINGER Alkoholfrei as a partner – including the world’s largest triathlon in London, the Vienna City Marathon, the Stockholm Marathon and the California International Marathon in Sacramento. 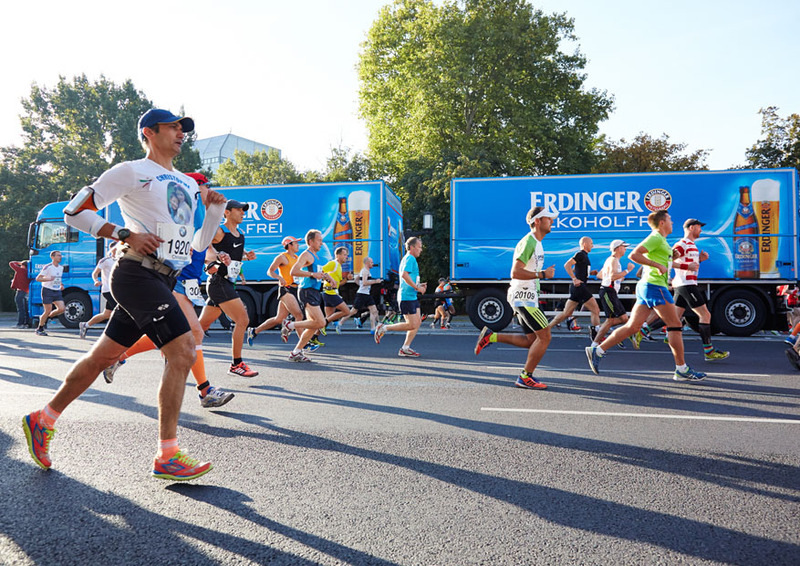 Every runner knows the feeling: as the race goes on, the legs get heavier. 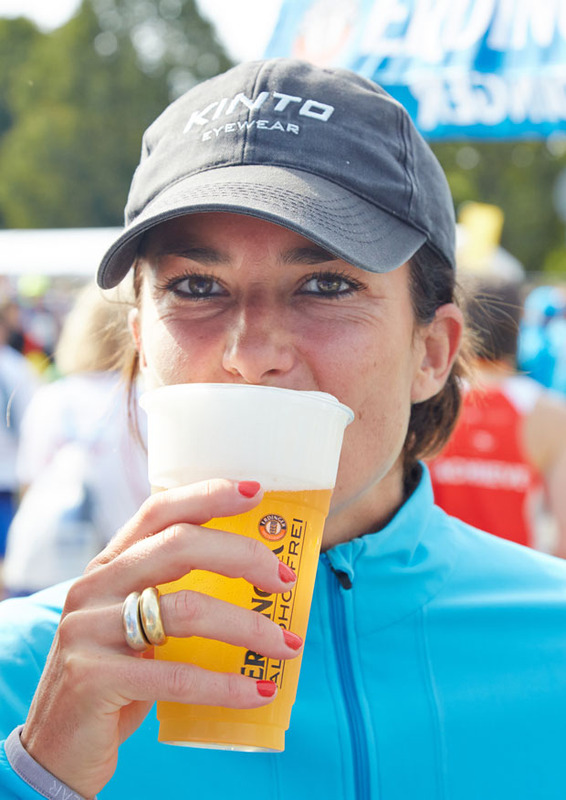 Now it’s time to grit your teeth and just don’t give up! 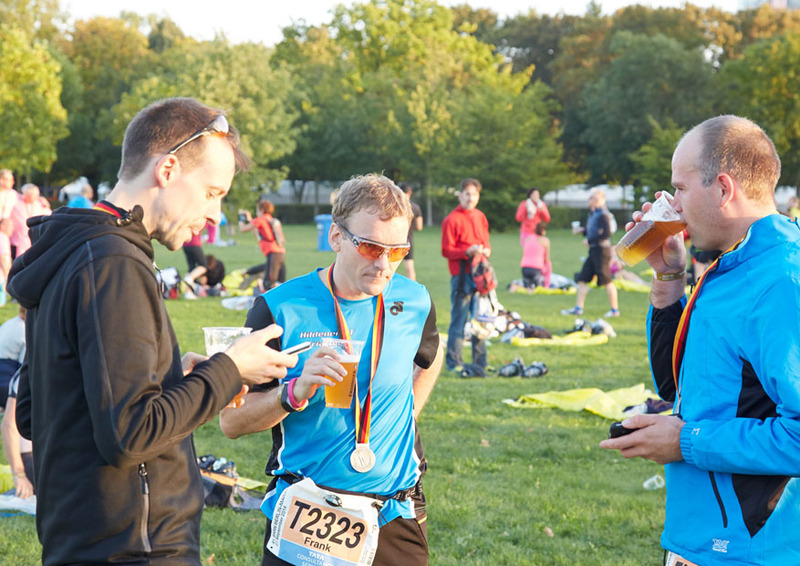 Encouragement is urgently needed. 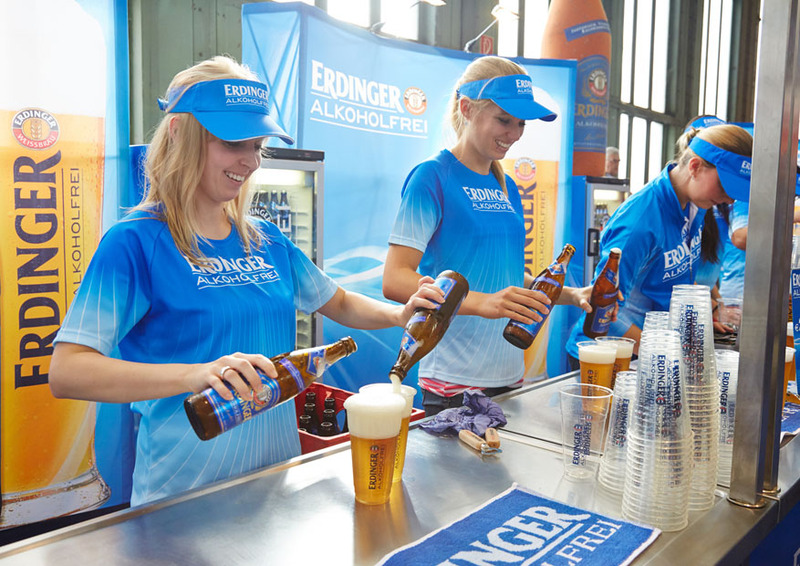 At this decisive stage of the race, rousing rhythms and jubilant spectators can suddenly be heard – the runner enters the ERDINGER Alkoholfrei PowerZone! 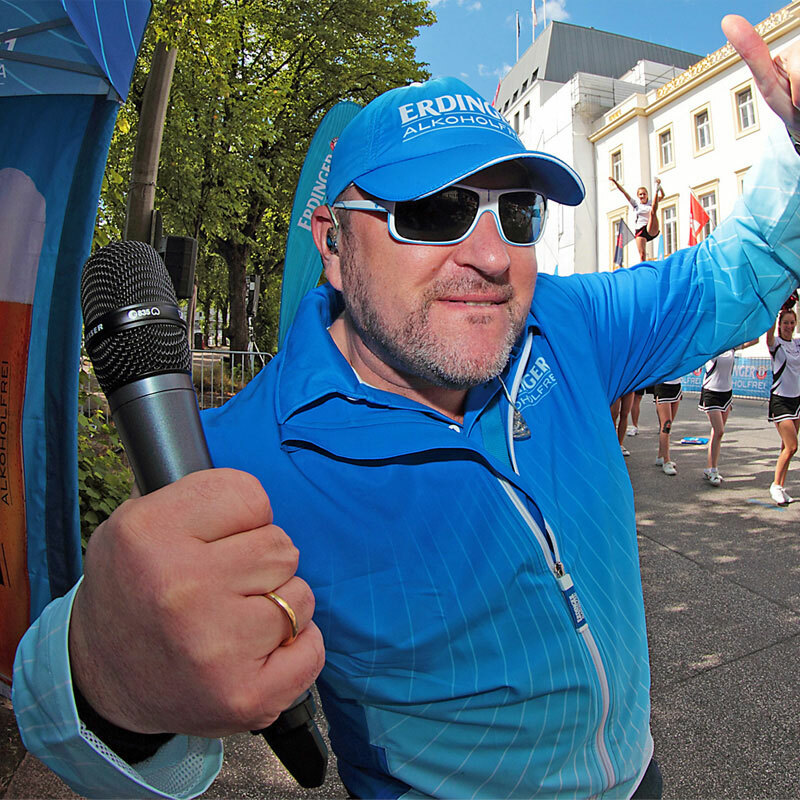 Motivating chants from MC Mike-Mike and hot rhythms from DJ Lemongrass give the athletes renewed strength. 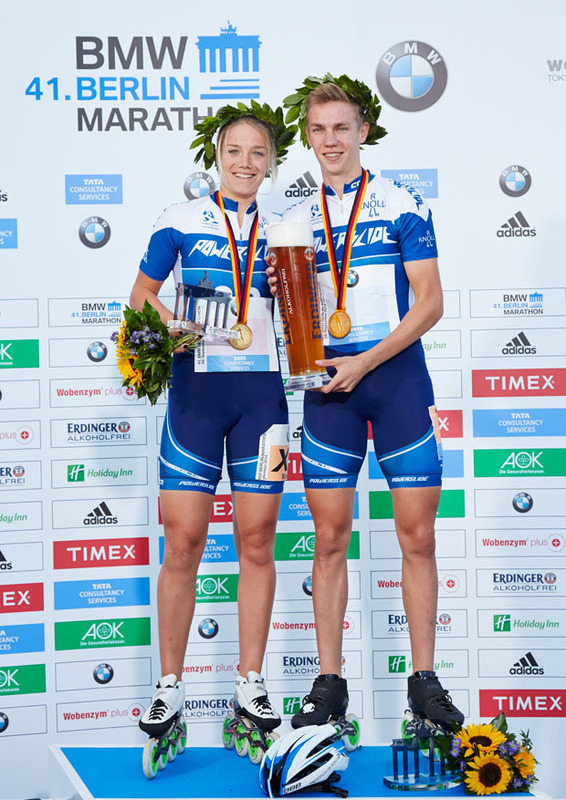 But who exactly are these two? 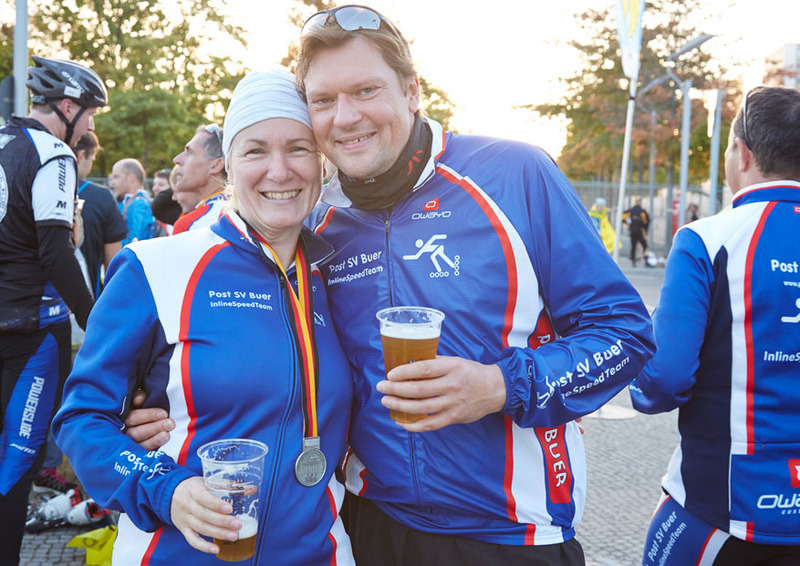 Mrs. and Mr. PowerZone answer our questions. 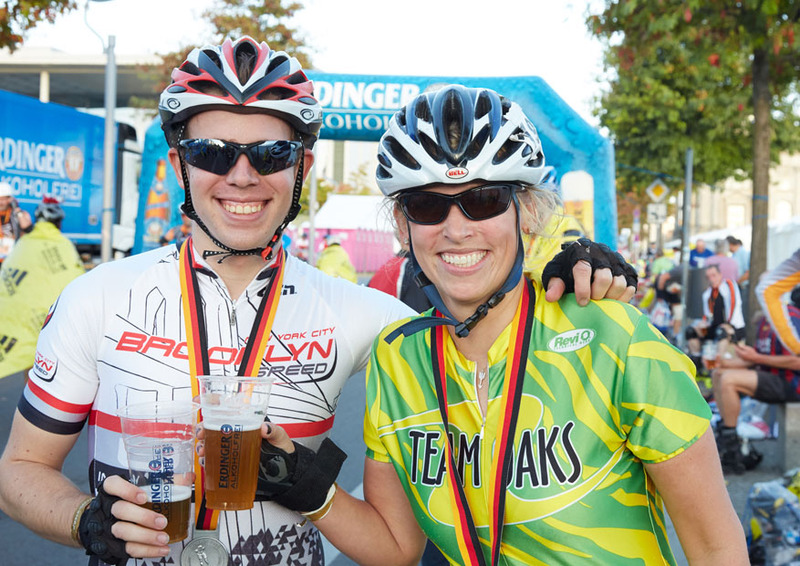 Hello DJane Lemongrass & Mike-Mike! 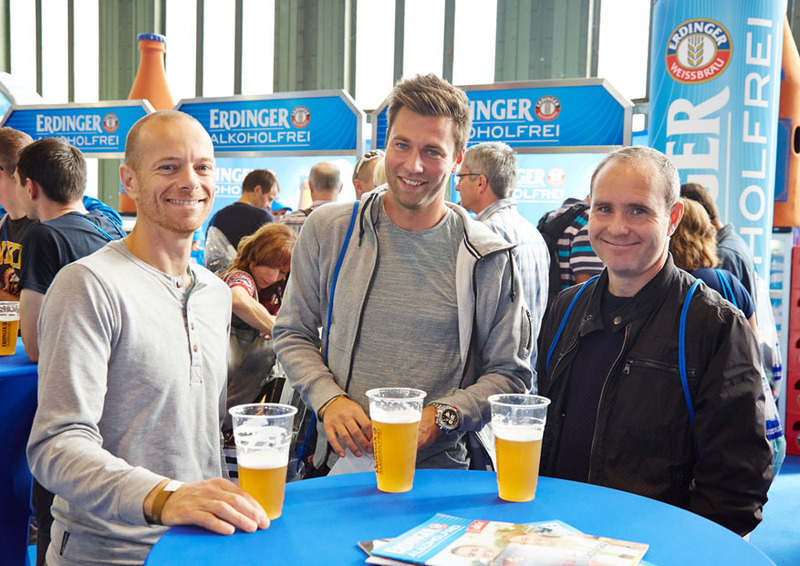 Great that you found some time for us. 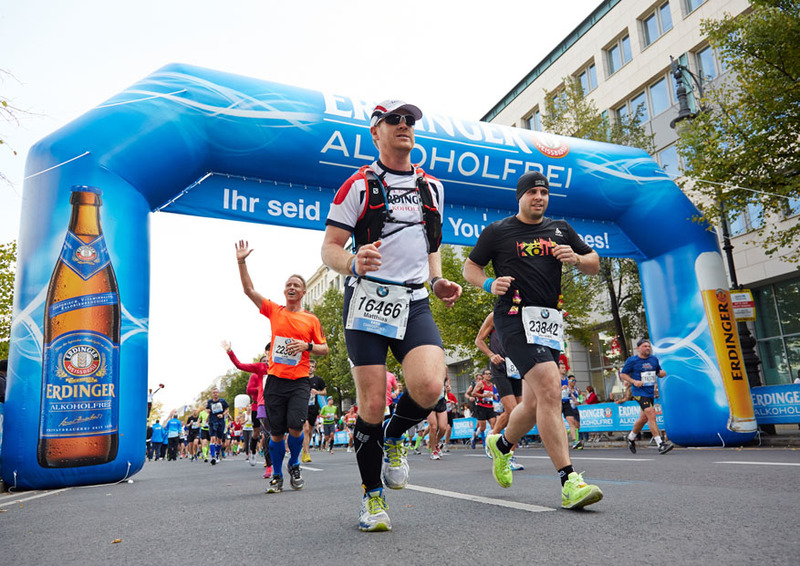 What is the special challenge of the “Power Zone”? 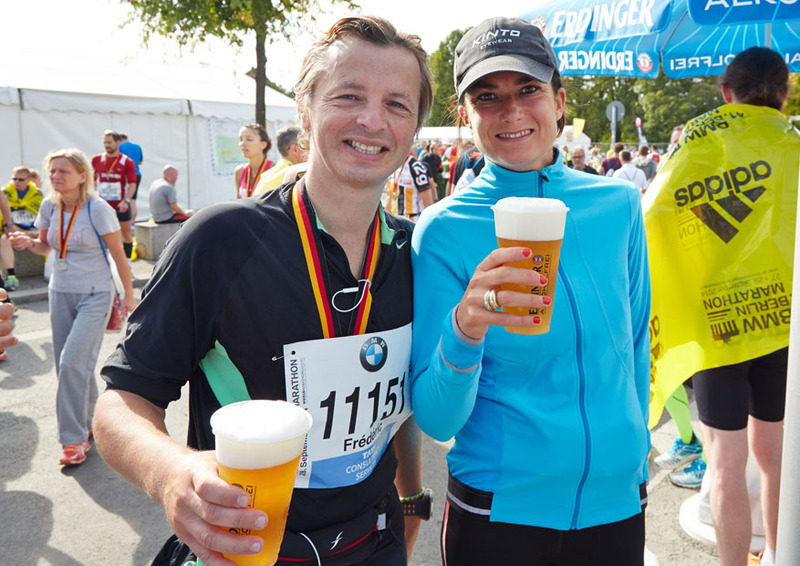 DJane Lemongrass (DJaneL) & Mike-Mike (MM): The challenge is to create a very special experience for both the participants and for spectators. 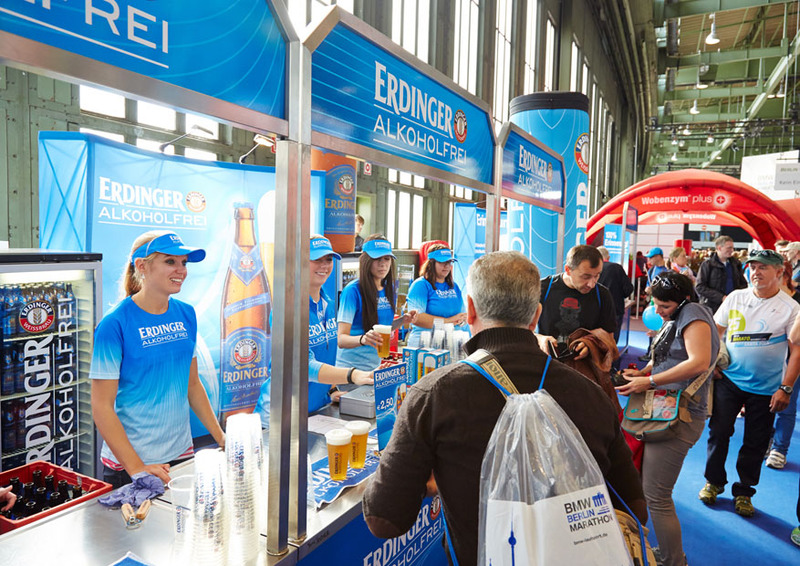 We call it infotainment – a mixture of information and entertainment. 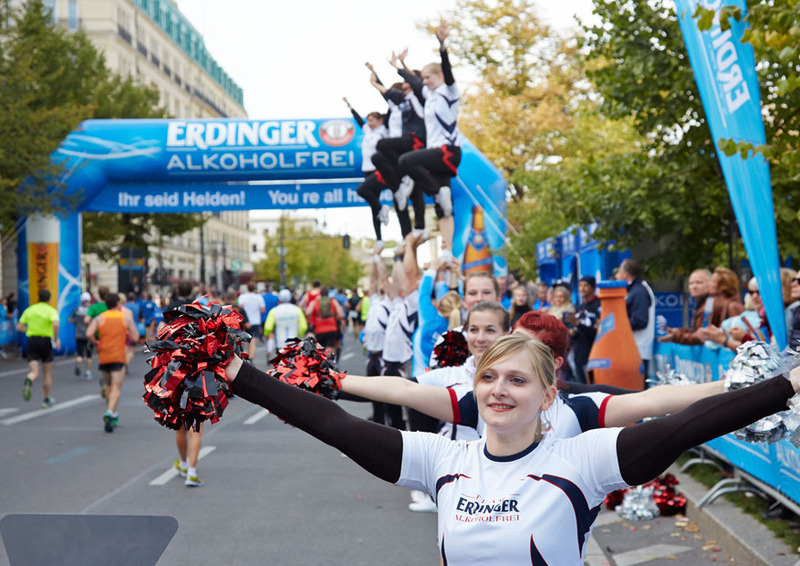 We achieve this with our informative and at the same time emotional style which personally addresses the athletes, as well as with rousing music and the great performance of our ERDINGER Alkoholfrei cheerleaders from Dresden. 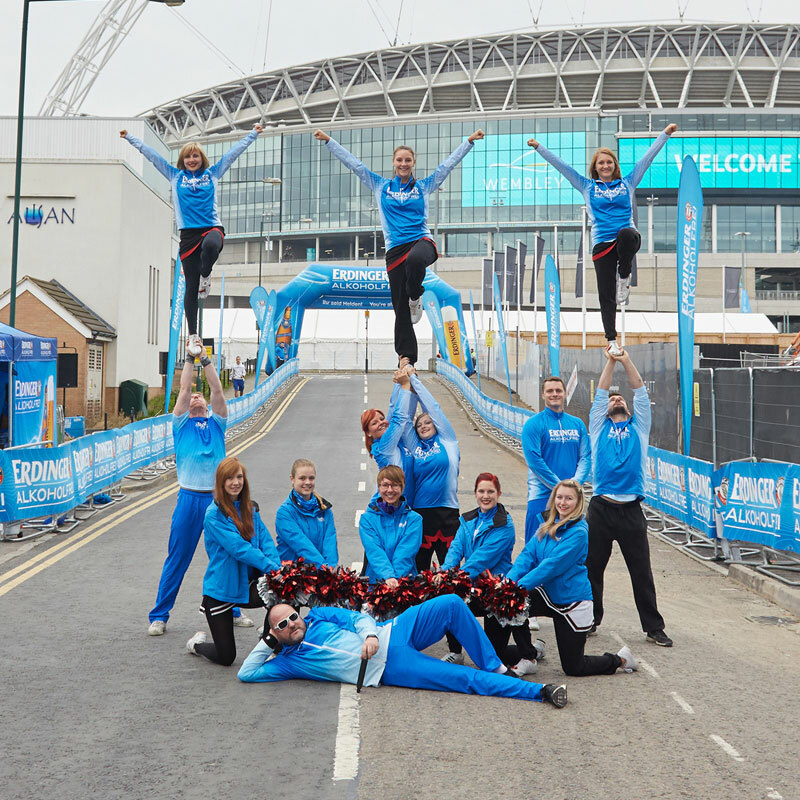 As a professional cheerleading squad, the Lunatics from Dresden perfectly complement your style. 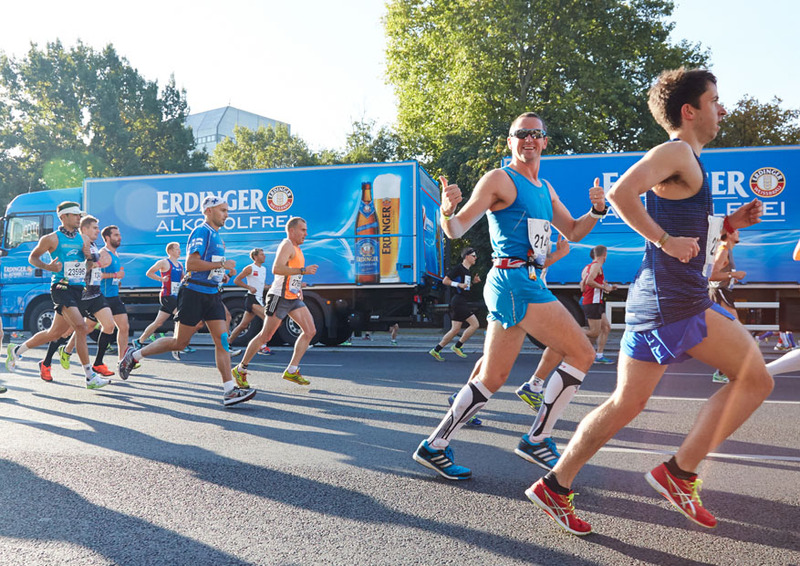 They train hard for their performance – do you prepare your input as well? 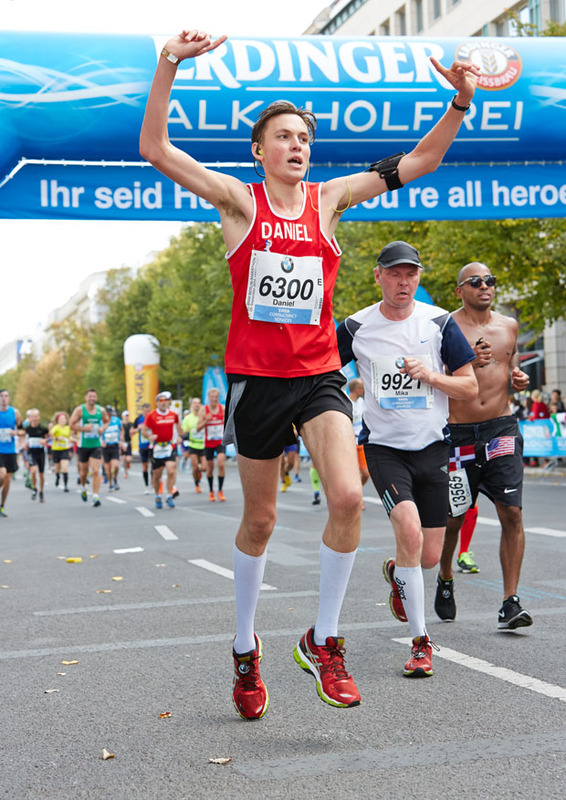 DJaneL: Of course! 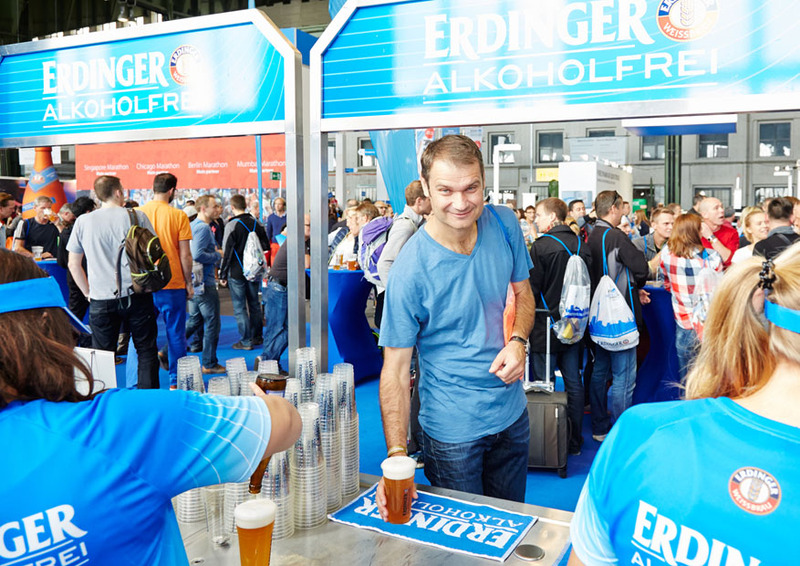 Mike prepares carefully before every event. 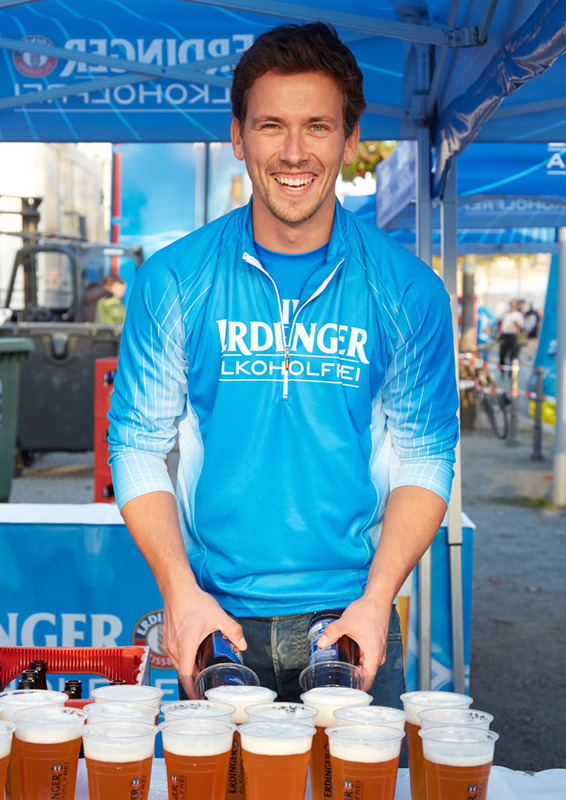 Because until the normal men and women pass through the ERDINGER Alkoholfrei PowerZone, he comments on the race leaders for the spectators. 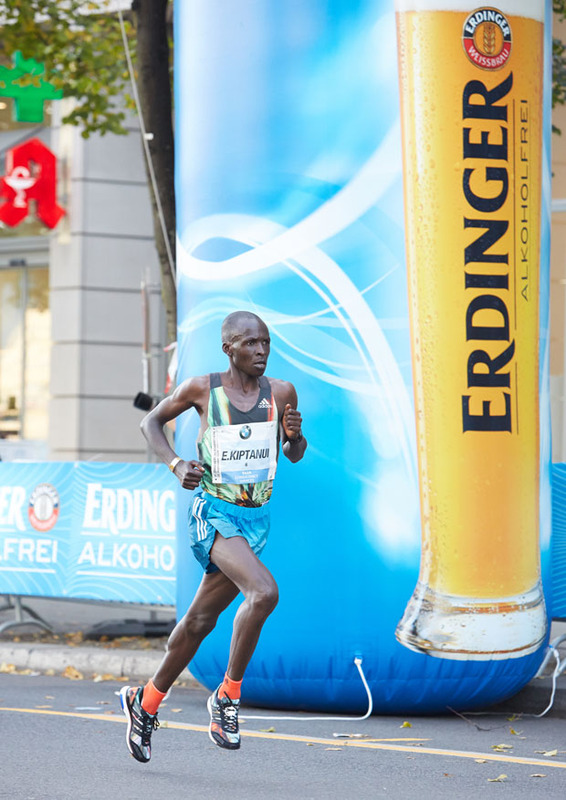 So he needs information on the favourites, best times and news from the marathon scene. 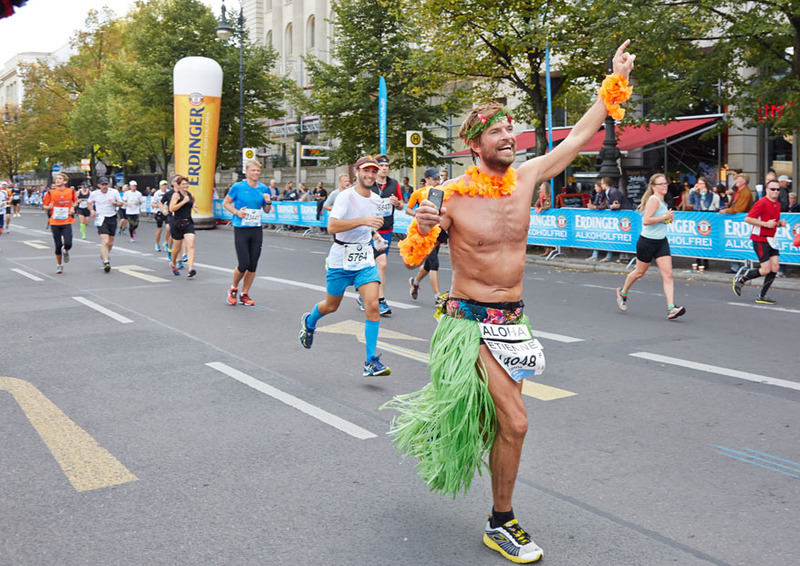 Thanks to his iPad and DVB-T receiver, the spectators never miss any split times or change of positions on the track and can join in the excitement when world records are being chased. 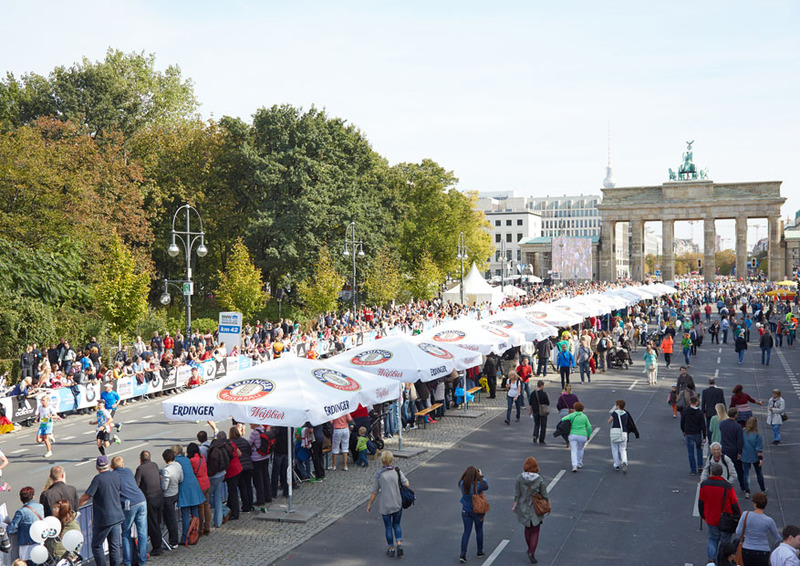 And my preparation is to be up to date in terms of music and ramp up the musical tension throughout the event. 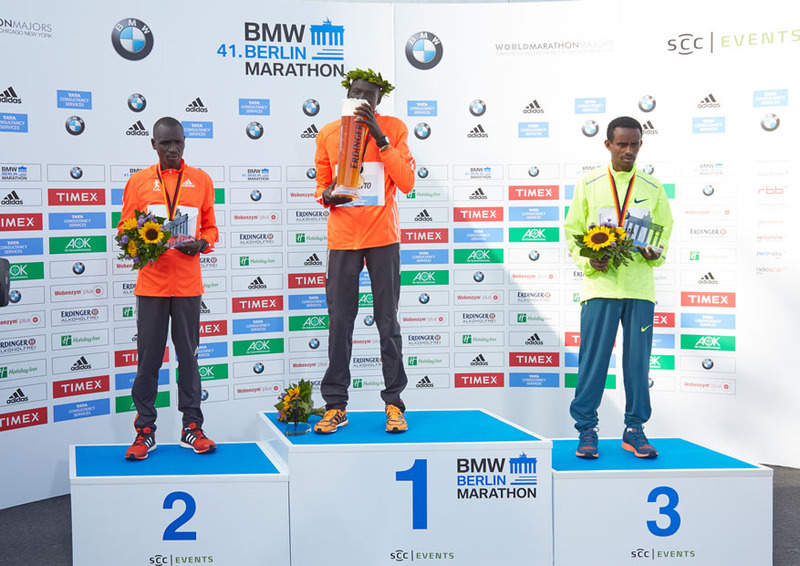 Talking of music: are there any special selection criteria? 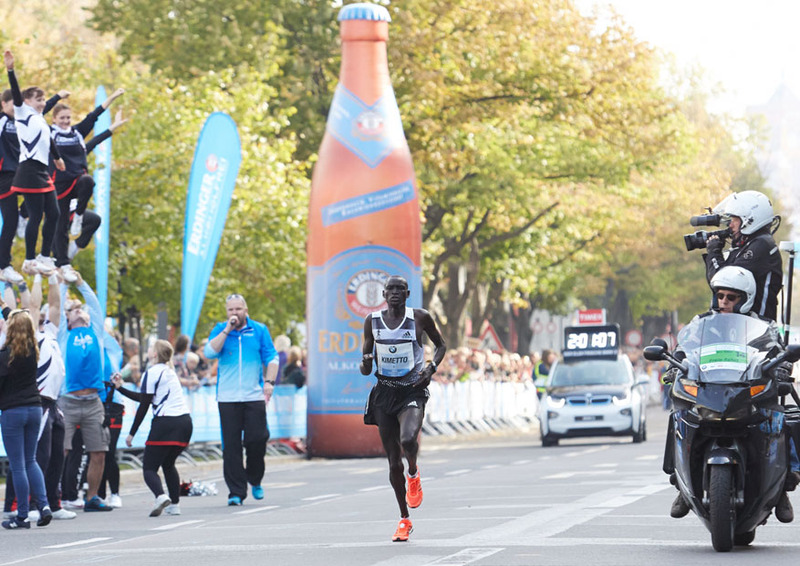 DJaneL: It needs to be emotional and underline the special moments, while also encouraging the audience to clap along and of course it has to match the rhythm of the runners or the dance rhythm of our cheerleaders. 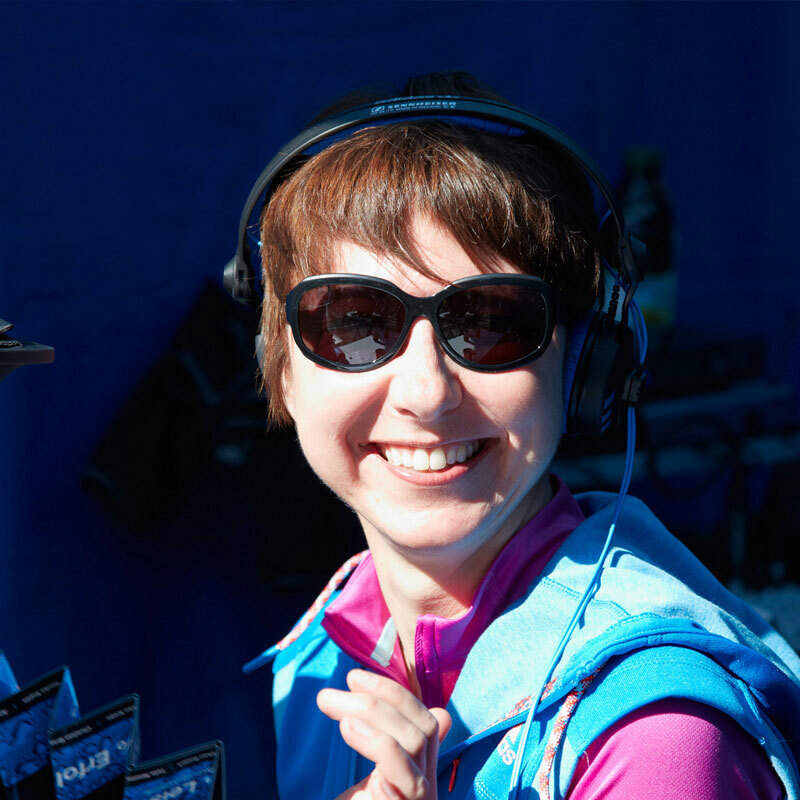 Almost all the songs I play have between 126 and 140 beats per minute. 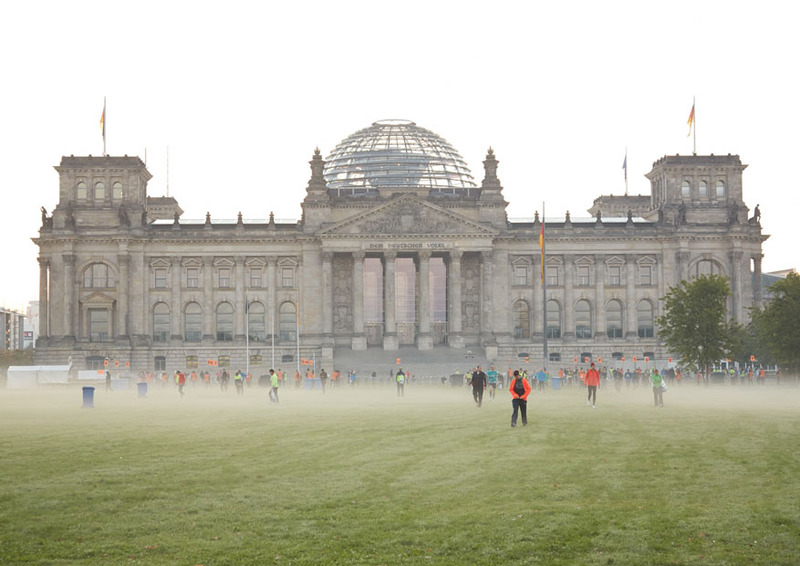 However, when the top rollerbladers shoot past they get treated to a good dose of punk rock. 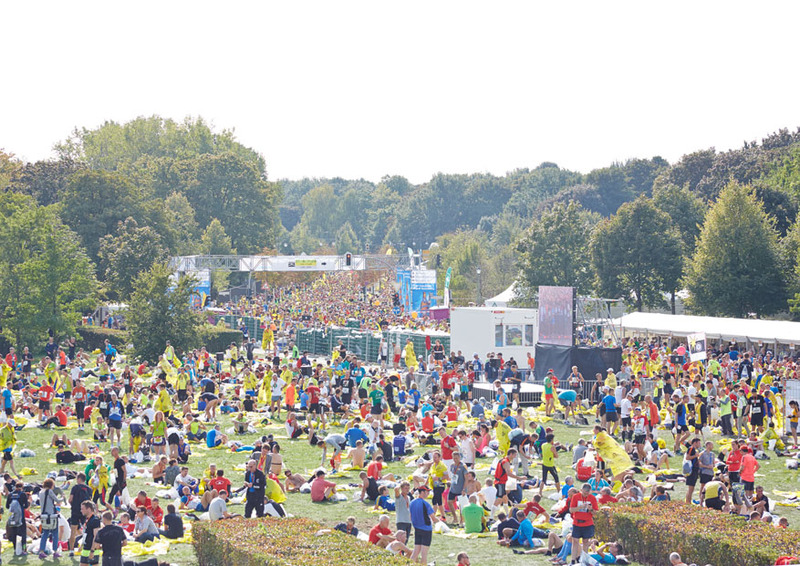 What was your best experience so far in the power zone? 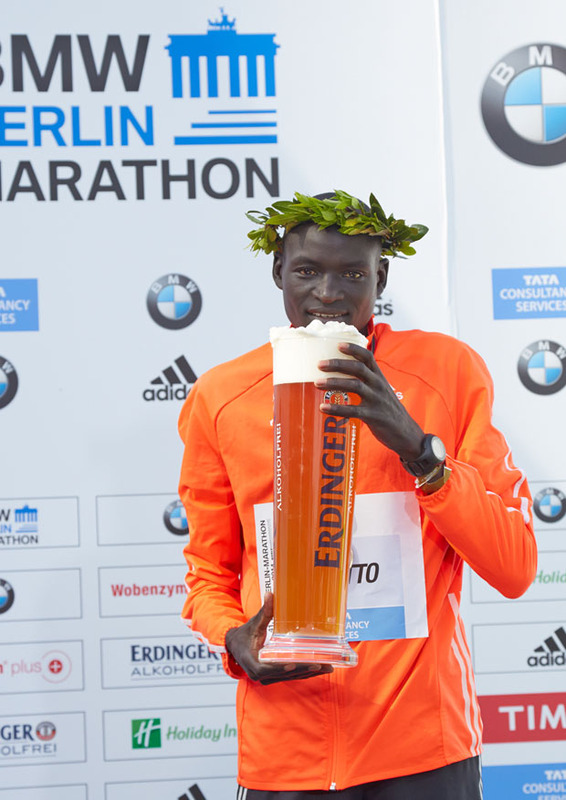 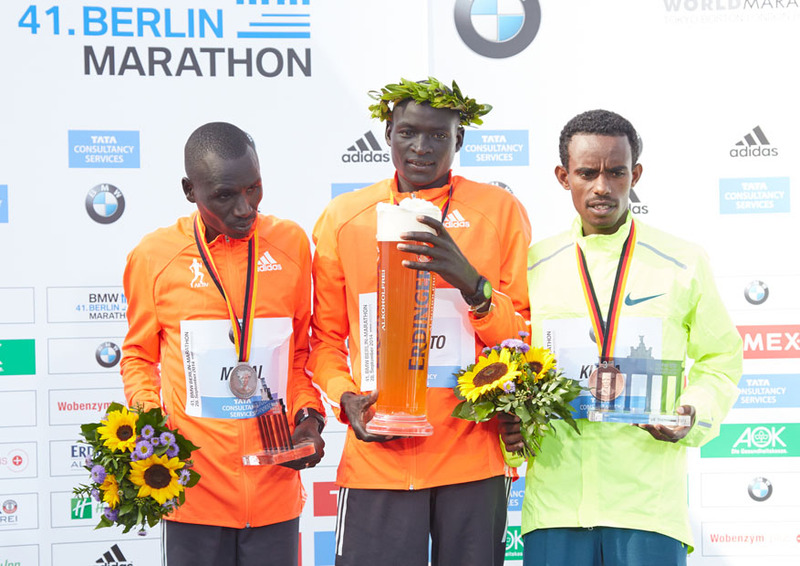 MM: One highlight, of course, is whenever a marathon world record is broken. 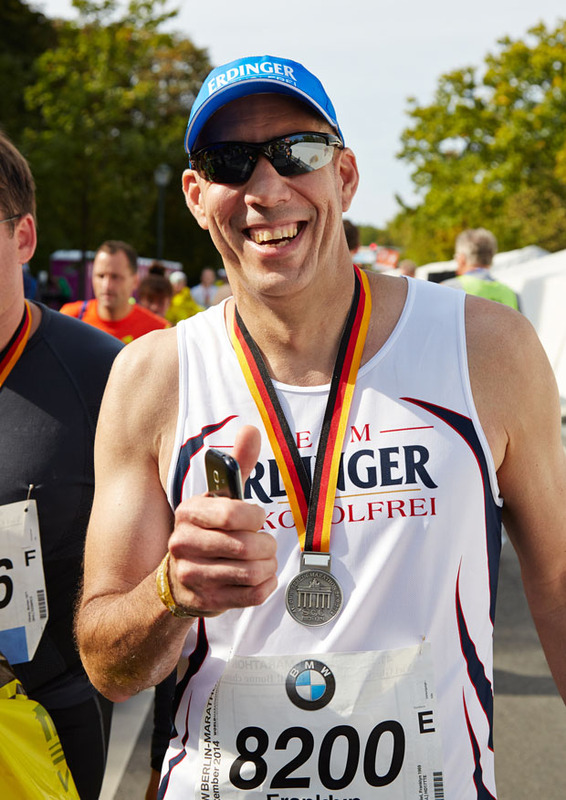 But the most beautiful experience are the beaming faces we see. 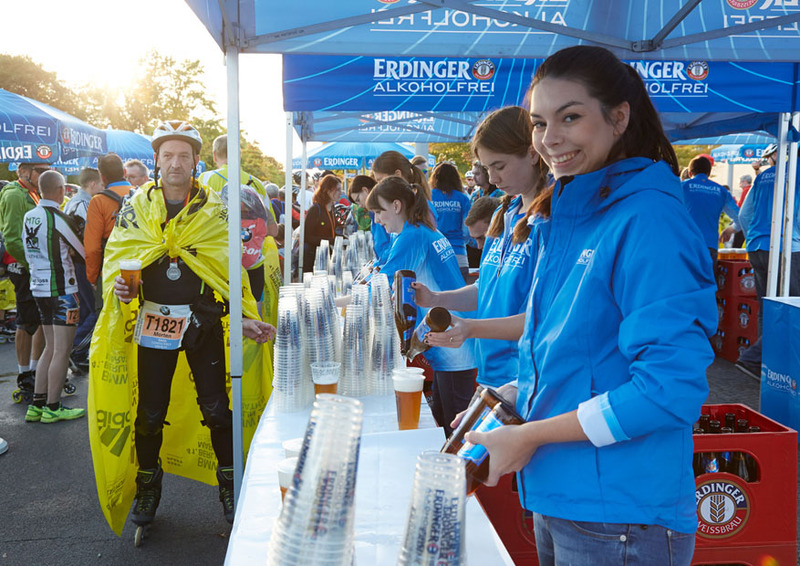 We are there to give the runners new energy, to inspire them or to celebrate them just before the finishing line. 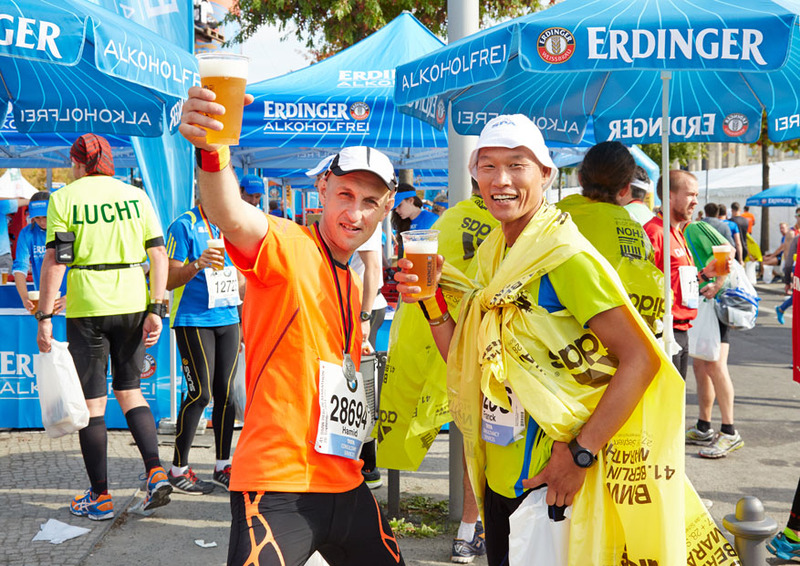 The enthusiasm they show gives us the energy to keep it up for so many hours. 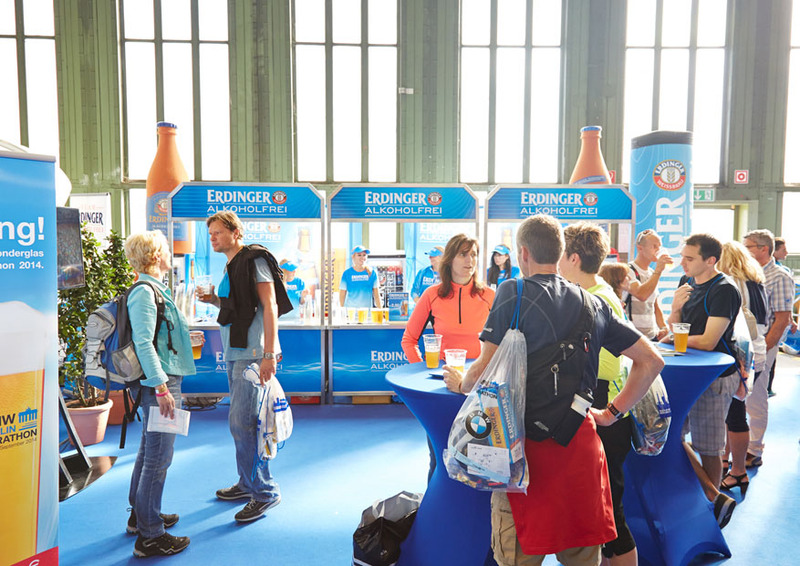 So what are DJane Lemongrass and Mike doing when they’re not sharing their good mood in the PowerZone? 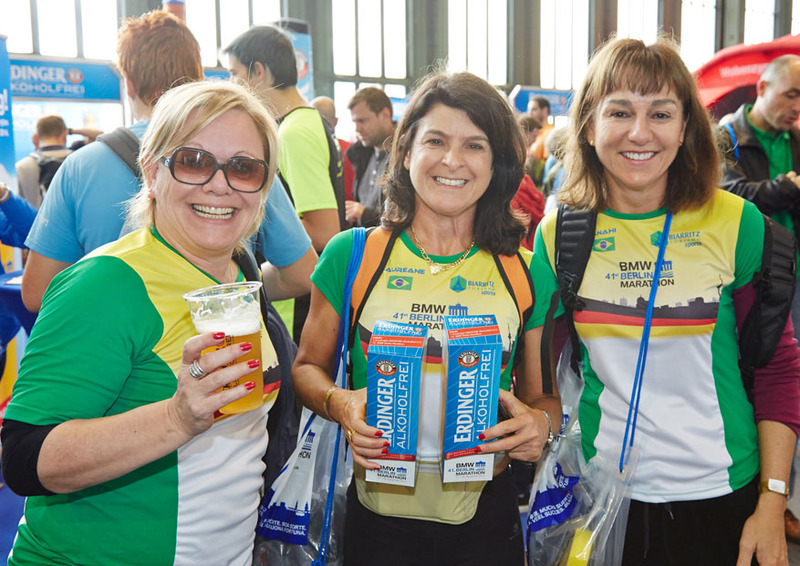 DJaneL & MM: Organizing events – such as the climbing event adidas ROCKSTARS in Stuttgart, the adidas Sickline Extreme Kayak World Championship in Ötztal or the adidas Hospitality at the Olympic Winter Games in Vancouver and Sochi. 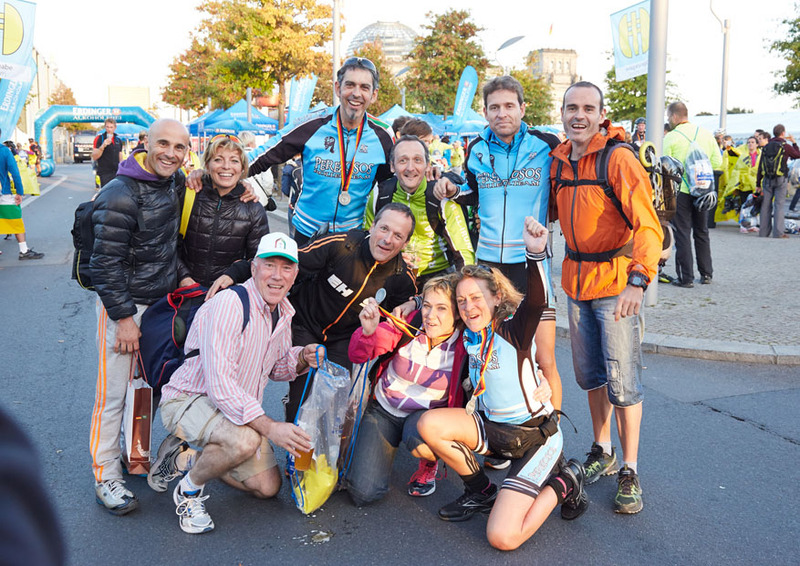 We also produce a large number of television films on various outdoor sports athletes and travel worldwide. 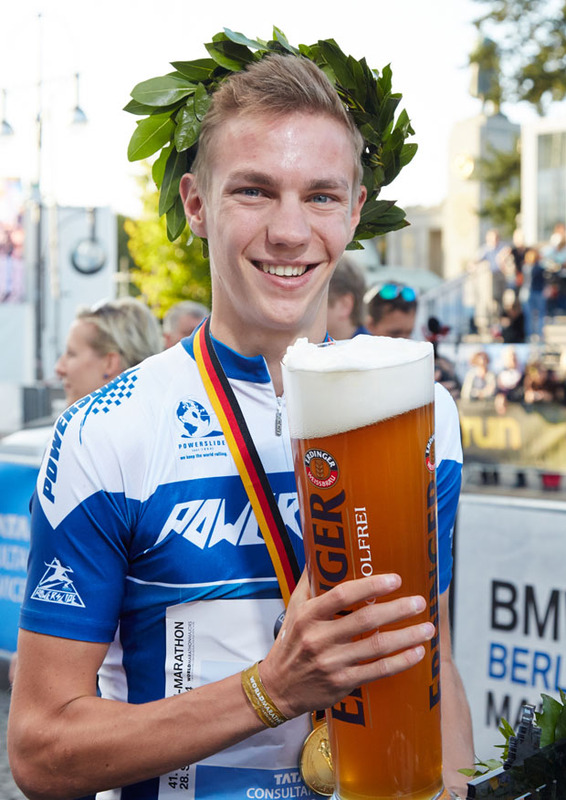 Mike also works as a sports photographer. 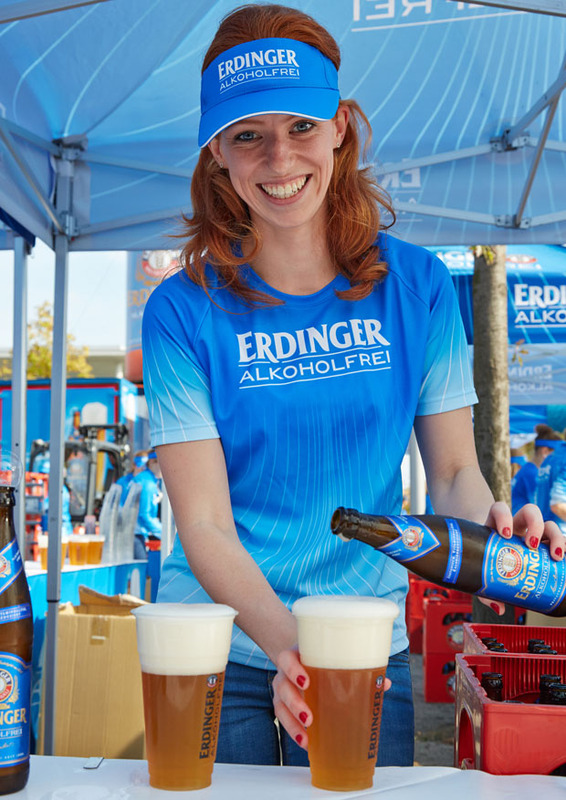 As managing directors of our agency planettalk, we work on our projects during the week and spend the weekends as a MC and DJane in the ERDIGNER Alkoholfrei PowerZone or other sporting events.